On this tour, mountains, Mozart, and mugs of beer all clink together to create a totally yodel‑y adventure. Starting in Trier, along Germany's scenic Mosel River, your Rick Steves guide will make this region's history and culture come alive in royal Munich, fairy-tale Neuschwanstein, Baroque Salzburg, stately Vienna, relaxing Baden-Baden, the cut-glass Alps of the Swiss Berner Oberland, and beautiful Lake Hallstatt — with plenty of breathtaking scenery along the way. Join us for the Best of Germany, Austria & Switzerland in 14 Days! We'll meet at 4 p.m. at our hotel in Trier for a "Welcome to Germany" meeting. Then we'll take an evening walk through Deutschland's oldest city and get acquainted over dinner together. Sleep in Trier (2 nights). No bus. Walking: light. We'll begin our day with a walking tour of the historic Roman and medieval heart of Trier, marveling at its Porta Nigra gate, the most impressive Roman fortification in Germany. Then we'll drive along the hill-hugging vineyards and villages of the Mosel Valley, stopping for lunch together in the über-quaint village of Beilstein. Nearby, we'll stretch our legs with a walk and tour of mighty Burg Eltz — Europe's oldest castle still in use as a residence. We'll return to Trier for a free evening to explore more of this pedestrian-friendly town. Bus: 4 hours. Walking: strenuous. Our destination today is the old resort town of Baden-Baden, famous for its mineral baths and games of chance. Upon arrival we'll tour the ornate casino and take an orientation stroll through the town. You'll have the rest of your day and evening free to "do the spa" (with or without your swimsuit), wander along the shaded riverside promenade, or hike into the surrounding hills. Sleep in Baden-Baden (1 night). Bus: 4 hours. Walking: light. We'll start our day with a scenic drive to the Black Forest Open-Air Museum. Here we'll have a local guide walk us through the preserved farmhouses and mills, giving some free time to linger in the past and order up some lunch (prepare for the wurst!). Then we'll drive up into Switzerland's snow-peaked Berner Oberland country. At the end of the deep Lauterbrunnen Valley, we'll take a thrilling gondola lift up to our hotel in clifftop Mürren, where we'll enjoy amazing views, have dinner together and sleep (3 nights). Bus: 6 hours. Walking: moderate. The day is all yours. You may want to join your guide for an optional mountain walk...or ride the gondola lift up to the Schilthorn at 10,000 feet, loiter in the thin air, and find your way back to Mürren...or take a narrow-gauge railway up the other side of the valley to Kleine Scheidegg, near the majestic Eiger and Jungfrau peaks. No bus. Walking: light to strenuous (your choice). This morning we'll witness the roaring, thundering, crashing, splashing display of nature's awesome power in Trümmelbach Falls — a series of subterranean waterfalls that plunge hundreds of feet into darkness behind the valley's cliffs. You'll have the afternoon free to take a brisk mountain walk, or explore more of the Berner Oberland on your own before we regroup for dinner. Bus: ½ hour. Walking: moderate. Today's drive is a good time to catch up on your trip journal, listen to music, curl up with a good book, or just sit back and enjoy views of pristine mountains and sparkling lakes. We'll stop for lunch on our way to the heart of Bavaria — home of fairy-tale castles, well-worn lederhosen, sing-along beer gardens, and oompah-hospitality. Tonight, we'll enjoy dinner together and sleep in Munich (2 nights). Bus: 7 hours. Walking: light. We'll spend our morning getting a behind-the-scenes look at Munich with a walking tour through its historic Old Town and learn about the "checkered" history and traditions of Bavaria. The rest of the day is yours to stroll around Germany's most livable city, soak up some culture at its world-class museums, or rent a bike to pedal the car-free paths of the English Garden and Isar River. No bus. Walking: moderate. 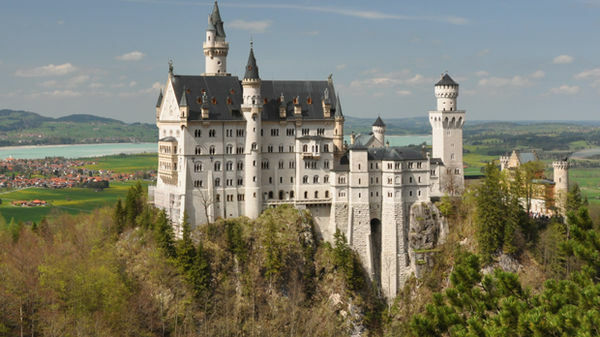 This morning we'll drive through farming country, then take an uphill hike to tour the fairy-tale fantasy of "Mad" King Ludwig: Neuschwanstein Castle. We'll hike back down to share lunch together, then (weather permitting) drive to a nearby luge course for a ride on a tiny sled with wheels before leaving Germany behind. Later this afternoon we'll arrive in Salzburg and settle into our quaint hotel. We'll end our day with an orientation walk through the historic center, and share a "Welcome to Austria" dinner together. Sleep in Salzburg (2 nights). Bus: 4 hours. Walking: strenuous. Salzburg is a perfect town for a walking tour, and that's how we'll spend our morning: strolling under the wrought-iron signs of the Getreidegasse, going Baroque at the Salzburg Cathedral, and exploring the Mirabell Gardens. The rest of your day is free for wandering through Salzburg's magnificent gardens, hiking up the fortress hill for a panoramic view, or pedaling a rented bike into the countryside, singing "do, re, mi." Your guide will give you a run-down of local concerts you could enjoy this evening. No bus. Walking: moderate. This morning we'll make our way to the postcard-pretty Lake Hallstatt. It's far too cute for our bus, so after settling in to our lakeside lodging we'll enjoy a boat cruise past breathtaking villages and craggy mountain vistas. Spend a free afternoon communing with Mother Nature on foot or by boat — or hike up to one of the world's oldest salt mines before tonight's dinner together. Sleep on Lake Hallstatt (1 night). Boat: 1 hour. Bus: 2 hours. Walking: light. Today we'll drive toward Vienna, stopping en route to visit the thought-provoking Mauthausen concentration camp memorial, where we'll learn about the Holocaust and lessons of 1933–1945. Then we'll follow the Danube Valley to the grand finale of our tour — Vienna — once the capital of Europe's wealthiest empire. We'll cap off our day with an evening tour through historic Vienna, including St. Stephen's Cathedral. Your guide will discuss your best bets for dinner on your own. Sleep in Vienna (2 nights). Bus: 5 hours. Walking: strenuous. We'll begin our day in sophisticated Vienna with a trip to the Third Man Museum for a fascinating look at the city's post-WWII history. Then we'll explore the city's rich Habsburg heritage including the elegant Opera House (when available), and the Hofburg Treasury. Your afternoon is free to explore another world-class museum or two, or slow down to enjoy sipping a coffee in the city where Europe's café scene was born. Tonight, we'll meet for our last dinner together, where we'll share travel memories and toast new friends. Prost! No bus. Walking: strenuous. Breakfast is provided, but there are no group activities today. It's a breeze to reach Vienna's airport by train, bus or taxi. You'll have easy connections to home, or on to other points in Europe. Auf Wiedersehen! Adjust to constant Alpine weather changes that can interfere with sightseeing. Handle steep walks and long castle stair climbs at Burg Eltz, Neuschwanstein, and Trümmelbach Falls. I was generally very happy with this tour. My focus was on the historical and social fabric in these countries, and the tour gave me the opportunity to gain insight and understanding as to how and why Europeans who were at war with each other have managed to combine their interests for the common good. Rolinka is an exceptional tour guide. She was flawless in her preparation, knowledgeable in her presentations (I have a strong background in European history and speak German. "In order of importance: 1. Hallstatt, not so much for the beauty of the scenery as for the background in Celtic culture. 2. Vienna, for the perspective on Austrian Naziism and the museums. 3. Trier, for the Roman bath ruins and the basilica. 4. Berner Oberland, for the extraordinary site and scenery. The side trips to Malthausen concentration camp and the Vienna "Third Man" Museum were particularly valuable." It was wonderful. Rolinka is a most excellent guide, knowledgeable, professional, friendly with a sense of humor. The sites wonderful. The hotels were all very nice & clean. The coach pilot was a very professional driver & kept the coach clean & tidy at all times. Great time & money well spent. "Honestly, there were a lot of WOW moments but I thought the Swiss Alps were absolutely amazing. Everywhere you looked there were mountains & it was just beautiful. I loved it." I really enjoyed the tour. My only complaint is that we did not have enough time in Munich and Vienna to fully embrace those great cities. My husband and I did spend an extra day in Vienna after the tour but Munich is kind of a blur. In Hallstatt it would have been nice to stay in the town. We had a lovely lunch there but only had a half hour when we were done to catch the bus to our lodging. Our only other choice was to stay another 2 hours which would have been too much. "My favorite destination was Murren Switzerland. We were lucky because the weather was perfect for hiking. The views are amazing and I loved the little villages. I liked that we were able to spend several days there to really relax and enjoy our little village." Rolinka is an excellent tour guide. I can't say enough good things about her. All of the additional guides we had in specific cities were great too. I learned a lot. Tour was well organized. Our bus driver, Will, was fabulous. All in all we had a good experience. I think the ranking of the tour as "strenuous" is accurate. There is a significant amount of walking and stair climbing. "I enjoyed the Swiss Alps the most. Don't know how you can beat those views!" I loved this tour! We saw and experienced so much in the two weeks of the tour. We had a great guide, and I loved all of the towns and cities we visited. There were times when we only "scratched the surface" on some of the towns, so hopefully we will return. This trip just makes you wanting more from each city. Weather was fabulous in early October, and our accommodations and group meals were fun and good. Our local guides were informative and interesting. And our driver was excellent! "I loved hiking in the mountains around Murren Switzerland so much! And after we got back from a hike, we saw the most amazing double rainbow I've ever seen! It went across the Jungfraumonch mountain range and into the valley below! We loved Salzburg and Vienna as well. Beautiful cities and so much to see!" I really like having a coach big enough to spread out! Thank you. I must be getting older, but I find 1 night stays very tiring. Is it ever possible to have more 3 night stays with side day trips? Less time is spent packing, unpacking and orienting. "The stunning views of the Swiss Alps and walking in the Lauterbrunnen Valley to the musical accompaniment of tinkling cow bells. Also, the wonderful concert with the Swiss Alpine Horn and an opportunity for me to blow it!" We had never traveled on a tour before, so we really didn't know what to expect. Our guide Rolinka Blooming was wonderful. Every day was planned out perfectly, she kept us all moving expertly. We were busy morning until night with a wonderful mix of history and sightseeing. We were never hungry. Our stops were timely, so we were well fed and had enough time for rest and sleeping. We enjoyed the others in our group, and had time to get to know everyone. "We really enjoyed Switzerland! We love the outdoors. And Switzerland definitely wow-ed us. We did a couple of amazing hikes, and enjoyed every minute. We also absolutely loved Hallstatt. What a picturesque setting. The boat ride was a wonderful introduction. I had wanted to see a couple of castles, so that was a highlight. I'm glad we went to the big cities, however we enjoyed the more quiet places more." Great experience. Great tour leader. Wonderful local guides. "The Swiss Alps and the mountain top village of Murren." Beverly commented for the both of us! Loved it! I had never visited any of the three countries so this was a good way to see some of each. I learned a lot about the history of the region and its rulers. We got to see big cities, small cities, towns, and countryside. The food and the beer were good - I don't drink wine much. The mixture of intense touring followed by relaxed coffee breaks or meals seemed about right. I probably enjoyed our time in Murren the most of all because I love mountains and hiking. Excellent sunny weather! "Seeing the Swiss Alps in sunlit glory as we drove toward Murren and many times later from our hotel room deck, hiking, and from cable cars. The glacier carved valley is nearly as stunning." The tour was all I could have hoped for. It was well organized, and our tour guide was entertaining, knowledgeable, professional, and went out of her way to make sure we all had a fantastic experience. "The trip to the top of the Shilthorn in Switzerland was the most memorable. The view was spectacular, and the ride was thrilling." "Hiking in the Swiss Alps." We had exceptionally great weather. That was the icing on the cake since just about everything we did was fun and interesting and totally worth doing. I liked the mix of hiking (sixty-three miles in our 14 days according to my pedometer) viewing museums and art galleries and lots of wonderful musical encounters. We had fun, got to know each other and were totally entertained. What could beat that? "I had visualized walking in the hills above Murren on a beautiful blue-sky day and had exactly that experience twice during our tour. It was deja vu in the very best way possible! Other highlights were being offered an opportunity to play an alphorn during a presentation and listening to an amazing zither player (who studied with master Anton Karas) during our last evening in Vienna. The Mozart dinner was accompanied by amazing musicians and voices...totally worth the time and cost." My first time with your company and will definitely go again. I stepped outside of my comfort zone for sure but enjoyed every minute of this trip and our guide was awesome. She was very helpful in getting me a single room as I was so sleep deprived after the first week I thought I was going to have to come home-lesson learned, I will go solo next time. I can't say enough about our bus driver Will-very helpful and attentive to his flock. "The Alps. The lifestyle, the people and the beauty." I think there was too much emphasis on the structures and not the scenery, except for the Switzerland time. There is was all scenery and nature. "Some of the scenery we drove by may have been my WOW. I certainly liked the Alps. And I had a great time eating and drinking in cafe's curb side in Vienna." The tour was an amazing study in contrast on so many levels: geo-political history, great art, music, a sobering concentration camp visit, incredible scenic countryside, and local cuisine and beers. Locals were warm and friendly, and our "tour group" was especially cohesive . Our guide, Daniela, was well-educated, well-spoken, and informative, she did a terrific job of guiding us with a balance between leading and encouraging independent curiosity. "A wow-moment for the senses was taking a gondola to our unique hotel in Mürren, perched on a hillside on the Swiss Alps, at night seeing incredible stars and hearing the cows with their cowbells. There was the "ongoing" wow-moments of learning about contemporary German-Austrian-Swiss history, connecting the dots of history between these countries and their roles throughout history and during wartime crises. With good food and drink to go with all of it!" I enjoyed it very much. Saw a lot, learned a lot, overall a great experience. "Swiss alps. Beautiful. Murren area was the greatest. Enjoyed weather and scenery." This was our first trip to Europe so we felt a tour would be the best way to go. We have been watching Rick Steves on PBS for years so were familiar with him. The attention to detail was beyond our expectations. The sites (Murren, Lake Hallstadt, Eltz Castle) AWESOME!!! Having Daniela coordinate our city tour and helping us find our way around in each location gave us the confidence to wonder around on our own. Great combination of structure and free time. "Wow...so many....gondola ride to Murren and seeing the Alps, getting on the boat on Lake Halstadt, walking out of our hotel in Munich and walking into the square. Enjoying the market in Trier. The Aula Palatine being the largest span built by Romans without pillars. (we got to Trier early and got to go inside before our tour started), Trummelbach falls"
This was our second Rick Steves tour and it was also a great experience. We enjoyed the historical perspective provided on the trip along with the current challenges facing Europe and the World. We were fortunate to have an adventuresome group that took full advantage of all that was offered. Daniela did a great job of providing options for us during our free time days, it was very helpful and most of us took advantage. Her knowledge of Germany, Austria and Switzerland was a real plus. "In addition to the beautiful experience in the Alps, Octoberfest was a high point. Daniela was masterful in getting us into the Hofbrau tent and landing us tables in a reserved VIP area. The experience was beyond our expectations and to our surprise, in addition to great beer the food was excellent." "Being in Murren!! The area was absolutely breathtaking and the timing could not have been more perfect for us. The walk from Murren to Gimmelwald to a Biergarten was amazing!!! Experiencing the traditional mineral bath Friedrichsbad Spa in Baden Baden was also a very big highlight. We had to get over our fears of being naked to do that place but it was well worth it to experience such immense relaxation. Going to Octoberfest in Munich and seeing Neuschwanstein castle (which were dreams for us)!" It was a wonderful vacation as well as an adventure. Everyday there was another surprise... another beautiful sight to see -another unplanned experience. Maisie, our guide, was terrific, our group was so much fun, and the tour itself went smoothly. I wouldn't suggest even one little change. I've been on a number of RS tours; they are all carefully planned so that not a moment is wasted. This particular tour is busy and more physically active than some. After all, we were in the Alps! "All of them! and there were lots of wowie things to tell friends when I got home. One great surprise, though, was the 3rd Man Museum ;)"
I absolutely LOVED this tour! It was my first Rick Steves tour and I wasn't sure what to expect but I was blown away by how extraordinary our experiences were and how easy it was to travel together in the group. I could have stayed an extra day in Baden-Baden I think though - didn't quite get enough time to see everything we wanted there! "The Friedrichsbad Roman-Irish Baths in Baden-Baden was my favorite part of the entire tour. HIGHLY recommend that people do this! Americans coming on the tour may feel hesitant because we are generally pretty prude when it comes to being naked, but I think if whoever the tour guide is for the tour can ensure to the group that the naked part is NOT a big deal and everyone there is totally relaxed and non-judgmental, then more people would do it! Murren/Schilthorn was probably a close second!" This was the best vacation I feel I ever had. I had never gone on a tour before but a relative had gone on two Rick Steves tours and recommended the experience. I think it was a great blend of guided tour, but allowed enough free time for one to explore on their own as well. "I am not sure I can limit it to one moment. I enjoyed Munich the most, especially with the Octoberfest activities. I would say WOW about our Guide, Maisie. She was absolutely wonderful." This was our first ever trip to Europe . We chose a Rick Steves tour because of the promise of quaint hotels, the ease of many meals included, tour transportation included , plenty of the sites that we wanted and free time for exploring on our own. We also liked the "no Grumps" policy and small group size. An added bonus was the wonderfully congenial and organized tour guide Maisie who gave us lessons on history, culture, and politics of the country we were about enter. We want to go back !! "As other have said, so many; the antiquities of Trier, the "old castle" of Burg Eltz, the mountains, pastures, and cows of Switzerland, the sheer grandeur of the Alps, the culture of Salzburg, the fun atmosphere of Oktoberfest and the Bavarians that we met, the lushness of the Bavarian countryside, beautiful rebuilt cathedrals, quaint village streets and markets, the sadness of the concentration camp. The beauty and elegance of the Salzburg Mozart dinner/concert had to be my favorite "moment"." Very educational & fun as expected. Maisie Hitchcock, a very well prepared + organized tour guide made it an unforgettable trip! "Alps in Switzerland. City of Murren + the hiking trails." I had a great time on this tour! Enjoyed the whole trip, and would definitely do a Rick Steves tour again. This was my wife's second RS tour, my first. I would definitely recommend to my friends to book through RS! It was nice to have everything done for us. All the reservations of hotels, meals and the transportation. RS took care of all the worries. "I think my Wow moment was when we were in Switzerland. The scenery was breath taking! I loved having to use the trams to get to Murren. We took the North Face hike, it was so much fun! It would have been nice to actually have one more day. Loved it!" Another outstanding Rick Steve's tour. This was our fourth and certainly one of our favorite tours yet. "I have to list two favorite moments: Mürren was spectacular and the perfect weather certainly helped. Experiencing Oktoberfest in Munich was also a highlight." A great verity of travel experiences in one vacation. We were treated to amazing cathedrals, wonderful mountain scenery, excellent food, the fun carnival of October Fest, and grimmest history you can ever see. Enjoyed everyday of the trip. "Not the usual Rick Steves fare, but the visit to the Mauthausen Concentration Camp is a day that will always remain in my memory. It's one thing to read about the holocaust, but it's quite another to actually see one of the camps. Also sitting down in a beer tent with 7,000 or so other happy people is moment not to be missed. Recommend the Augustiner." My husband and I loved out GAS trip, the most valuable experience we took from our trip is the history of the country's we visited. It was extremely nice to have a person from the city we visited give us our daily tour, it gave us a feeling of how the citizens communicate and live. We also found it helpful to know the culture when we were touring the city on our own. We also enjoyed our dinners together with the group, it was nice to see what other found interesting to listen to their stories. "We loved the Swiss Alps they were beautiful, I think that was my wow moment. We also loved the pup in Gremmelwald, we spent a few hours down there." A really good tour only slightly diminished by a couple of rainy days and some long stretches on the bus. Got just what I expected: a nice introduction to cities and towns in each country along with some of their culture, provided in the typical Rick Steves style that facilitates planning for future independent travel in the areas visited. The introductions and orientation walks on this tour were particularly strong and useful. "Thought for sure it would be Switzerland (outstanding) until we got to Vienna, which was so much more interesting than I had expected it to be. Just fell in love with the city, its scale, its art and its architecture. Return is a must." Enjoyed the variety of activities included and the add-on opportunities. Our tour guide, Iris, did a good job of orienting us to the language and customs of the locals. This was especially helpful in Munich. Thought the accommodations were very comfortable. The cities seemed dirtier and less exciting overall compared to some of our other RS tours. Maybe this is just my preference for smaller cities and the countryside? "Switzerland was the highlight for us. We went paragliding and this was a thrill on a gorgeous day. (I know...not part of the tour) I was also impressed by the small herds of cattle grazing on verdant pastures. Although we ate lots of pork, never saw pigs out in the countryside.... Murren was stunningly beautiful. Loved traveling through the Rhineland. We spent a pretour day in Bacharach and it was charming. Swiss chocolate is addicting!" The tour was very well organized and was a great introductory experience to the locations on the itinerary. It was a good mix of countryside, small cities and the major cities of Munich and Vienna. Given the number of places visited, it's essential to have an organized and knowledgeable guide. Iris did an outstanding job! "I was "wowed" by Vienna and can't wait to return. Even though Vienna came at the end of trip, I found that I was energized by the city and the opportunities for experiencing the arts. One day was just too little time to even scratch the surface. I regret that we weren't able to stay longer in Vienna and would recommend that anyone with the time and flexibility to do so, book a couple of extra days." This was my third RS Tour and, like the others, it did not disappoint. The itinerary was packed, the pace was fast, yet there was plenty of time to also explore places on your own. Our guide, Iris, was fabulous - and, let's face it, the guide can make (or break) the tour. It's a hard job herding 24 people with different wants/needs/levels of independence. She did a masterful job and always maintained a delightful sense of humor. This tour was truly the experience of a lifetime for me. "Sooo hard to pick just one moment. I had two personal goals on this trip: to hike in the Alps, and to experience the music of Mozart in Salzburg. I got to do both and they are memories that will stay with me forever. But if I had to pick one thing? It would have to be Switzerland. "Heidi" was my favorite childhood book, and Murren and the Alps brought it to life all over again. What a beautiful, serene, idyllic country! It didn't hurt that the weather was outstanding. And those cow bells..."
We had a good tour with an experienced guide. In order to cover so much ground in just14 days, Iris kept us organized and informed. The local guides, as always on a Rick Steves tour, are so valuable in what they bring to a tour. Many of our shared meals featured local foods that we might not have tried on our own. Starting in Trier was wonderful - I didn't know that it was considered the "second Rome" and had so many intact Roman "ruins." "One of my favorite "in the moment" memories was in the Alps. Walking along paths beside cows grazing in the lush green grass nearby and hearing their lovely "cowbell" music - all while surrounded by the intense beauty of the Alps - was an experience I will always remember." Well organized, thoughtfully planned every step of the trip, wonderful experiences and interesting and tragic history. Also fun moments and beautiful sites. "The full moon shining over the Swiss Alps." Thoroughly enjoyed the tour. It was a good pace. Great mix of small villages and large cities. Got a taste of each country. My favorite thing about Rick Steve's tours is that the morning is structured and the afternoon is generally on your own. "My "wow" moment was arriving to our hotel in Murren by gondola. The area is truly stunning." travel with people and the interaction is essential. It is so fun to listen to different people and to listen to their background and take on life. To have knowledgeable tour guides puts icing on the cake. All of Rick Steve's tour have this quality. I am so happy to have taken this tour. "You know when you take a tour like this seeing and hearing everything every moment is a WOW moment." I had a great time on this trip. This was our second Rick Steves tour and it did not disappoint in any way. Our tour guide Donald was fantastic, knowledgeable, funny and professional. We had a great group of people on our tour and enjoyed many of our experiences together. Our visits to Germany, Switzerland and Austria were filled with many new adventures, beautiful locations and friendly people. "There were many of these as we visited several places that had amazing scenery and sites to see. I would say visiting the Schilthorn in the Alps was probably the most awesome site followed by attending Octoberfest which brought back to many childhood memories of my German heritage. Many of the locations had unique villages and attractions that were gorgeous and provided many wow moments for me." "The spectacular scenery in the Alps was probably the most breath taking for me. The quaint towns we visited and cable car rides up the mountain." We loved the tour. This was our first RS tour and we weren't sure what to expect. We got to see and do so many things. It was a fast paced tour but we still had time to soak it all in with time to explore things on our own. "There were several wow moments. If I had to pick one I would say the Alps. When looking for a tour the chance to see and hike in the Alps was a big draw. The scenery was spectacular, every turn was like a postcard, hearing the cowbells echo through the valley. We also had the opportunity to attend the Wengen Cheese Festival - a RS through the backdoor moment. The food, festivities the fun. A big thanks to Donald for learning of the festival." I was so happy to meet such nice people, the "no grumps" clause worked for sure! The level of activity was good even for a novice hiker and the variety of activities was a good mix of history, arts, outdoor, culinary and social choices. "Each time I think about it I recall something different but surely Murren was a breathtaking visit, and Vienna at night and making strudel with an opera singer and the castles and the rivers and lakes..."
We took a whirlwind tour of Germany, Austria and a portion of the Swiss Alps. It's impossible to put the full experience into words except to say that we saw a lot, ate a lot and learned far more than we ever expected. The Rick Steves' tour guides (I've done two other tours) and the local guides are fabulous and I credit their knowledge and stamina for making, what otherwise would have been a "look see" type of trip into a full country and cultural experience. "The amazing view from the Schilthorn summit in the Bernese Swiss Alps stands out as the biggest WOW but there were so many to choose from. We also watched the local Swiss farmers walk their milk cows through town as they brought them down from the upper pastures. That's not something I'm going to see where I live!" We have always been very happy with the tour guides, the itinerary, the accommodations, and the Rick Steves style of travel. Both Donald as a tour guide and Brooke as the tour assistant help to make this an outstanding trip to Europe. We were blessed with wonderful weather. We will continue to travel with Rick Steves tour company. The emphasis on exploring towns and cities with free time is truly one of the highlights of this type of travel. Please continue the good work. "Because I am partial to beautiful mountains, it is difficult to not select my favorite "wow" moment as the beautiful clear day with the gondola ride to the top of the Alps on the Schilthorn. Literally short of mountain climbing, one cannot experience such an incredible view." I would highly recommend Ricks tour itinerary, it was exceptional and very comprehensive. The ancient European history and culture explanation on the tours were interesting and a very visual experience. I have a greater sense of how large our world is and grateful to be alive in this time period. "The Vienna Opera house stands out for me along with Neuschwanstein Castle. Of course Murren, in the Switzerland Alps is like a fairy tale land." This was an amazing experience! No detail was overlooked. Tour guide Donald White's knowledge is incredible!! There was a perfect variety of guided touring and exploring on our own. Several options to chose from were offered by Donald and the directions to find them. Restaurants, activities and the appropriate tickets were available. This was so easy!! "So many! For me personally, it was being directed to the Olte Wies'n tent by Donald. There I relived my childhood with the oompa band music and the Schuhplattler folk dancers. Awesome, awesome, awesome!! If we hadn't been told about this area I might have missed this most memorable experience. I am so grateful! The food here was also super! Then there was paragliding in the Swiss Alps. Amazing!" This was my 4th RS tour and the quality was top notch. The style of RS tours fit me very well, from the physical activity , quaint hotels, learning and trying new things everyday, and mixing with our fellow travelers.Donald our guide, managed all of us very well and kept it fun and always interesting with his options or his "Donald Talks" on the bus. I loved it so much that I look forward to picking a number 5 ! "Riding the gondolas up to Murren and exploring all around the countryside of this wonderful, beautiful and peaceful Swiss hamlet.We stay three nights and I needed at least a week or more. One of our fellow travelers, hanged glide off the cliff with a little help. I thought she was Amazing !!" It was a busy tour, busy in the sense that every day almost didn't seem long enough to accomplish all the interesting sights we saw. I thoroughly enjoyed the mix of city and countryside experiences: the peace and grandeur of mountains/lakes; wandering/exploring the big cities; and, learning so much about these countries, thanks to the wonderfully informative Andrea. I have enjoyed every RS tour I've been on but this one is close to the top of my experiences. "No particular Wow moment, just an appreciation of so many new sights and experiences: Roman everything in Trier; going to the top of the Schilthorn in the gondola in spite of my genuine fear of heights; seeing the Eiger, Moench, and Jungfrau all in a row and so close up, in the sunshine; Oktoberfest in Munich; Mozart & festival in Salzburg; the drive through the mountains and lakes in Austria, gorgeous; the history lessons, 3rd man included, and grandeur of Vienna, city and museums." This tour was a good mix of cities and smaller towns but the distance between locales meant a fair amount of bus time. The group on the tour was great! The local guides added to the experience. Germany, Austria and Switzerland were beautiful! We were lucky enough to enjoy the cattle being brought down from the mountains in Murren, Oktoberfest in Munich, and the Festival of St. Rupert in Salzburg so the timing couldn't be beat. "For me it was the parade of cows coming down from the mountains in Switzerland! That was such an unexpected treat for me. Of course Oktoberfest and fairytale castles were also special. Going to the "textile free" spa in Baden Baden with the tour guide was certainly out of my comfort zone so that would be a "wow" moment as well." This was my first trip to Europe and first experience with Rick Steves tours.... I did not know what to expect. I was very impressed with the organization and the total experience. The tour was stress-free and I loved being able to enjoy all the sights and activities without the worries of "where do I go or what should I do". Our guide, Andrea, just made the whole experience so much fun and interesting. I definitely will go on another Rick Steves tour! "I cannot say I had a specific "wow" moment...so many times, I just had to step back and take it all in. It seems like every new town or city we came to ....every beautiful landscape, churches, museums, all the architect, the people and customs, overall experiences were all "wow" moments!!!" I thoroughly enjoyed this tour. There was really never a dull moment. Our guide, Andrea Wolf set the tone with her enthusiasm and knowledge of the countries we visited. Her excitement spilled over to our group and we bonded well together. I noticed we had plenty of free time to further explore the places we were visiting and meet some of the locals on our own. I see why this tour is so popular. It didn't hurt to have had some incredible weather while visiting the Alps either. "I believe getting to the top Pia Gloria by Cable Car at 9800' and hiking back down into the valley was a thrill and the views were incredible. And seeing Gerhard's "Third Man Museum" in Vienna was also a memorable moment, not to mention listening to Paula's discourse in Trier on how the Jews were treated during and after WWII in Germany." I had always wanted to see the Swiss Alps and was not disappointed. Andrea was an exceptional guide who shared from her own experience and helped me get a better cultural understanding of Germans, Swiss and Austrians as humans with the same joys and worries as I experience. "I fell in love with Murren, Switzerland. I did not want to leave. I lost count of how many times I woke up to look out at the stars from the hotel room! Thank you for scheduling us to stay 3 nights in Murren." This was my first Rick Steves Tour. I have travelled to Europe several times but previously on my own. I was very happy with my experience. Other than a few minor difficulties with the bus I did not feel there were any material things that I would do differently. Our guide was excellent. She was well informed about the areas that we visited as well as the history of these areas. Our local guides were also uniformly very good. I was happy with the balance of "programed " time and free time. "Octoberfest was a "hoot". We had a great time. Also an unplanned happening that was fun was watching the cows come down from the mountains in Switzerland. We just happened to be there when it occurred." After following Rick Steves on PBS, in print, etc. my expectations were probably unreasonably high! The entire experience from start to completion met or exceeded them in every way!! From the plaza in Trier with 2 Euro glasses of wine, to the views from the top of the Shilthorn, to castles and vineyards, Octoberfest in Munich, and Mozart, plus "textile-free" Baden Baden!, this tour was a whirlwind of sensory delight. Our capable guide led us on hikes which ended with cheese, challenged our pronunciations with humor, and made chocolate and wine necessary food groups. What a great way to close out 2018!!! "My "wow" moment was Gerhardt's niche museum devoted to "The Third Man" and WWII. His obvious passion and almost single-minded devotion to the importance of this portion of history moved me to tears. I continue to think about his project after seeing his collection and hearing him speak. Thanks for introducing us to Gerhardt and his vision of Austria and the world. If I am lucky enough to return to Vienna, I would like to find a way to visit his museum again." Great people and leaders, Mathia and Kevin. Museums all v.g. again many photos. American museums often prohibit pix. Meals good. Beer great, too much. We separately visited Wolfsberg austria and found it very interesting for camps in 1914, 1942, and de-nazification in 1946-48. Quaint, walkable, could be worth Steves' tour in pretty country. Third Man museum a bit long, not much historical value or connections. "Murren Sw a new experience, wonderful many pix and videos. Schilthorn was out of this world." This was my 3rd RSE tour. I don't know which tour to do next, but it will definitely be with RSE!!! "The cows coming down from their summer grazing land! All through Switzerland I felt the spirit of Heidi and Peter and the old Alm Uncle." This is our fourth tour with Rick Steve's and overall it was the best as far as accommodations . The hotels were great and our tour guide, Matti was excellent. The food on The Best of Italy ???? is impossible to beat but we enjoyed everywhere we went. We were not disappointed with any part of the trip and you will see us again. "I really enjoyed our guide in Vienna. His amusing manner and depth of knowledge was terrific." This was our first R.S. Tour. We were nervous about the small luggage and having to lug it all around. Was fine and actually kind of "freeing" not having so much stuff. It was rated as far as "strenuous" a little below that and even tho we are in our early 70's, we did just fine!! The bus rides were good, (however, read what I had to say about the seating in the buses in a different comment), enough stops as well as Matti's historical facts, etc. etc., very good. "There were many but would have to be having three days in Murren. Beautiful country!!! We walked a lot, should say hiked a lot. Went partway on the Northface trail, among the cows and farms. Also, in Lauterbrunnen, Matti had heard from his wife that the cows being brought down from the mountains to their winter barns, so he guided us where to watch that. Was a "wow" moment when the beautiful cows, with bells and head dresses, walked through town. Also, accordion player and alpine horn." I had an outstanding experience on this tour. Over the course of the 14 days we had so many unique and memorable experiences. I really enjoyed spending time, talking with, and learning from our tour guides and tour companions. The cities and towns we explored, our luck with good weather,amazing scenery, and fun activities and destinations made this a highly engaging tour. "There were a ton of great moments during this trip but for me it was exploring and relaxing in Murren,taking in the views while riding up to the Schilthorn, and hiking around the area. We had great weather for all the days we were there so it made for a really enjoyable time. However,I also really enjoyed my time in Salzburg. It was especially interesting to see all the activity that was occurring due to the EU summit and St Rupert's Festival." Marsha and I had a fabulous time. We had been planning such a trip for a long time. This tour was all it was promised to be. The Alps are amazing and we were there when the weather was absolutely perfect. Matti our tour director was great and all the local guides were superb, adding history, context and personal story to everything we were seeing. We would do away with the stop in Baden Baden and add that day to Switzerland. The size of the group was about the right size. "The Swiss Alps were breathtaking against the blue ski. The town of Murren was such a great place to stay and the gondola ride to the Schilthorn - WOW!" Rick Steves' "no grumps policy" ensured that all 28 people on our trip were fun, adventurous and ready to roll with whatever came our way. I fully expected to have "that person" who drove everyone crazy but s/he never materialized. I think some of that was due to Matti and Kevin's ability to deal with any problem early and contain it so most folks were never even aware of what was going on. The tours, hotels, bus rides, free time, meals, stories and people were ALL wonderful! "I absolutely loved Murren and could have stayed there much longer. The Shilthorn itself was great but I loved the tranquility of Murren. We took several hikes and enjoyed the breathtaking scenery. I also really enjoyed the potentially schmalzy but ultimately wonderful (optional) Sound of Music bike ride in Salzburg. It was a glorious day and a nice break from the bustle of the festival and leadership summit that were taking place in Salzburg while we were there." The tour was enjoyable and we had some great experiences but we seemed to do less group activities than we did on other Rick Steves' tours. Matthias had lots of optional activities organized and we appreciated that. The bus was uncomfortable - it reminded me of a discount airline. "I really enjoyed the Moselle valley." It was amazing! We drove through beautiful countryside, visited amazing cities and villages, and were skillfully guided the whole 2 weeks. "We attended the most awesome-inspiring concert of Mozart, Strauss, Haydn, and Vivaldi at Hohensalzburg, the fortress overlooking the city. Also amazing: the Schilthorn visit...the Alps right in your face!" Overall, my first time Rick Steves tour experience was fantastic. Everything was very well organized and there was a perfect balance of structured tours and activities and free time. The excellent organization began with the e-mails of exact details on where to meet and how to get there. I had NO questions on what was planned and where I needed to be. "My favorite 'wow' moment was Switzerland. Having seen pictures over the years of the Swill Alps and the Lauterbrunnen Valley I knew it was beautiful but until I arrived in Murren I had no idea of the true beauty. It was fantastic." Every meal, every location, every guide was superb. Absolutely no complaints. I would prefer a few more art museums and a little more time going through Ludwig II's castle and it's exceptional art collection. "The Mauthausen concentration camp left an extraordinary impression on me. I was late for my return to the bus, much to Kevin's chagrin, but I lost track of all time. I wish, in fact, we would have had a little more time." I truly enjoyed the tour. Our guides, the wonderful weather we had during the trip,the many memorable places we visited, and my traveling companions combined to make this a really outstanding tour experience for me. "Like most folks who choose to do this tour, I think the time spent in the Swiss Alps was my "Wow" moment (or "Wow" weekend in our case). However, Salzburg probably ranks at the top of the cities we visited for me." This was our 4th RS adventure and they've all been outstanding. From the very first afternoon our guide, Matti, set the tone of expectation and excitement. All through the 2 weeks he shared not only his local knowledge and history of the areas, but his very moving personal stories of growing up in post-war West Berlin. As usual there was a great blend of guided tour time and free. "We happened to be in Murren the day the cows were led down from the higher elevations. To see them with the huge bells and ornamental trees on their heads coming down the cobbled street was the coolest! Salzburg was my favorite city and a group of us took the "Sound of Music" bike tour. What an experience!" Really enjoyed the tour. Great variety of locations and activities. Favorite part of the trip was delving into WWII history and visiting the concentration camp. "The wow moment was the Nazi Document Museum in Munich that I visited on my free afternoon, Very moving display of written items from pre WWI to present. Learned a lot about why and how the Nazis came into power." The tour was a wonderful balance of cities, small towns, and even countryside, such as our historic farm tour in the Black Forest. People on our tour were on the same wavelength about traveling, adventure and yes, packing light! The agenda was perfect, and we got out the door early, before the tour and cruise groups showed up, avoiding lines and crowds. We enjoyed visiting places we would not have known on our own were so special, like historic Trier, Murren and Lake Hallstatt. "It's hard to say, because each location had it its own delights and discoveries, but my husband and I loved the various walks, hikes, and views around the village of Murren, Switzerland, especially the North Face Trail." This was our third RS tour and, overall, it was an amazing experience. The group of people were like family within the first couple of days. There was plenty of room on the bus, and our driver, Walter, was wonderful. When I look back, I'm in awe of everything we saw and did. "There were so many "wow" moments. The view from our hotel room in Mürren, of the Swiss Alps, was incredible. Also, Trummelbach Falls was magnificent." Having been on several other RSTours I am very sold on how they operate and how they do things, making their expectations very clear. I hope I can continue to go on other RS tours. Both Iris and Sandra were wonderful. "I personally enjoyed being able to visit Mathausen as I had met Simon Wiesenthal in the 1970s while an exchange student over in Europe. Prague and Budapest were other high points for me. Murren was another highlight, at the beginning, and I loved the luge ride there. The alps were gorgeous, Neuschwanstein was also a highlight though I had been there some years ago. The RST folks have the balance, I feel, in having both group time together, and then being able to wander a bit alone." The tour was everything I expected. I wasn't sure I would like such a structured vacation, but now recognize the advantages to having tour professionals handle the details. "My wow moment had to be the beauty of Switzerland..The Hotel Jungfrau was terrific and I look forward to seeing the Alps my way in the future." This tour had been highly recommended by a relative, and it did not disappoint. I was a little bit skeptical about a two-week tour, but it went by in a flash. The group of travelers were very congenial, flexible, and cooperative. I hope it was a pleasure for Iris and Sandra. It certainly was for us. "Always the countryside...Alps on a clear day in Murren, Lake Hallstatt, hiking, the view from Neuschwanstein. However, the Dom in Salzburg (5 organs) is unforgettable. Wish we could have heard them all perform in a Sunday Mass." My expectations were high and the reality exceeded them! The tour was a perfect blend of excellent familiarization jaunts, great local guides, and then free time to do our own exploring. Not having to wrestle with transport or accommodations eliminated stress and allowed for a relaxing exploration of new places. Our small group was very compatible and the "no grump" policy was in delightful effect. "Mürren, Switzerland, was just spectacular. The whole time we spent there was one extended "wow" moment. It's hard to describe how scenic locale is (we noted in our pictures that every vista was a great one). In addition to the visit to Trümmelbach Falls, the added trip up to Schilthorn, we hiked the North Face Trail and were blown away at every point by the views." Very good tour leader (Iris). She informed us very well while on the bus about history, people, politics, customs, etc. Great combination of sites and activities. Your deep knowledge of the area was something we could not have researched. Good mix of group dinners, celebrations, and free time. Group discounts were an advantage. Great effort to encourage camaraderie in the group. "Murren! It was a wonderful place to explore and enjoy." This was my first Rick Steves tour and it was outstanding. From the tour guides, to the places we went, to the hotels, to all that we saw and learned, it was amazing. I loved that my husband got to ride the bus and not have to drive, so that he could just relax and watch the scenery. I loved the organization of each day, and how our guide kept us informed. It was so nice to be taken care of, yet have the balance of time on our own as a family. I would definitely recommend a Rick Steves tour. "I'd have to say that my days in Salzberg were my wow moments, and especially the day we came into the back of the Mirabel garden on accident and found the place where Julie Andrews actually filmed the scene from the Sound of Music. I also loved Switzerland and the quietness of the beautiful village of Murren on top of the mountain." Iris and Sandra were both wonderful guides for this tour. Iris was a very refreshing change from my own experience I've had with German born women in the US and from my own German family background. I was delighted with the way she handled this tour so friendly and professionally! She was very good in giving us all the info and clear instructions and tips at each location we were at. Sandra was quite helpful to ask her questions along the way especially going thru several countries. "Seeing the Swiss Alps and riding up into them on The gondolas to Mürren and clear up to The Schilthorn!" We had a wonderful time on this tour. The sites we saw were almost unbelievable. Had friends that did the same tour a year before and had told us we would not be disappointed, they were correct. "The North Face walk around Murren." This was our second RS tour and it was fantastic. Our guides Iris and Sandra were lovely and helpful at every turn. A surprising gem was our visit to Baden-Baden. The town was super cute. We totally loved the spa experience and we would recommend it to others! The casino was gorgeous and we enjoyed having a chance to gamble a bit that evening. Vienna was beyond our expectations, and we are making plans to go back next September (before the 8 day RS Prague/Budapest tour) to see more of Vienna. "Murren, Switzerland. We both hiked and mountain biked with the sounds of cow (and goat) bells always in the background, and the Alps all around us. It was magical. Even from someone who grew up hiking in the Pacific Northwest, this was special. Our hotel room balcony looked out over the Eiger, Monch, and Jungfrau mountains, and watching the morning sunrise was beyond description. Loved it!" I thoroughly enjoyed this tour. The areas we visited were very interesting with fascinating history. Plus the scenery was spectacular, particularly in Murren. But the real highlight of the trip was the people. Our guides, Iris and Sandra, were both excellent, with a lot of background knowledge and great skills for engaging the group. The local guides were all amazing in terms of their knowledge of the cities they guided us through. The members of the group were all interesting and enjoyable. "The favorite Wow moment for me was walking out of our hotel in Murren and seeing the mountains lit up by the early daylight. It was really something out of a travel show on TV but I was there experiencing it. The most emotionally challenging Wow moment was at Mauthausen and entering the room of names. All of the experience at Mauthausen was emotional but seeing the names of each individual change the experience from being about a group to being about individuals." I had high expectations for this tour and it met or exceeded all of them. I love the organization and efficiency of Rick Steves tours and this was no exception. The contrast between beautiful scenery and big cities was great. Our guide, Iris, was fabulous at orienting us to each new place and making sure we knew where we were located on the map and what was available for our free time each day. She did a great job of making sure we were all taken care of. "The lovely days we had in Switzerland have to be near the top of the list, but there were other moments that surprised me. Spending an afternoon in the English Garden in Munich was a fun treat and I found I liked Vienna much more than I expected to. And all the food was amazing!" We have been using Rick Steves guide books for years, but this was our first tour. Our experience with the tour, our guides, and fellow tourists was outstanding. Iris and Sandra were both so knowledgeable and fun. "It is hard to pick one "Wow" moment as there were so many. 1. Murren was amazing, we took a 4 hour hike through beautiful meadows with wild flowers and cows with their bells ringing as they moved around. 2. Standing on the James Bond Skyline View Platform at Schilthorn as Swiss jets buzzed us. The sonic booms bounced off of the alps echoing all around us. 3. Hallstat, beautiful in the day and at night and miles of paths to walk." This was our third RS tour and each one exposed us to the food, culture, food, art, food, history, food, music of the countries we visited. I could never plan a trip as well done as a RS tour. The GAS trip was excellent each stop so different than the one before. "How do you choose from the sweeping scenery of Switzerland to the art museums of Vienna. I learned so much which is one of the things I like about RS tours." This tour was excellent. I liked the variety of big cities and beautiful countryside. I only wish the tour had been 1-2 days longer, with several more hours of free time in each of Munich, Salzburg, and Vienna (I realize that might be logistically impossible). In all three places, there had been one or more sights I had hoped to see, but we ran out of time. Hallstatt is problematic: beautiful but too crowded. Is there another (undiscovered?) lake village that could be substituted? "Our two days in Murren were amazing. The weather was perfect. Our guide, Donald, maximized our experiences by organizing two optional activities that most of us eagerly attended: a gondola ride up to the Schilthorn and a hike from Mannlichen to Kleine Scheidegg. We really appreciated Donald's willingness to reserve the gondolas and train rides, which made it so much easier for us, and he even got discounted group rates for us. We also had time to hike the North Face trail on our own." I always enjoy learning the history of the areas we visit and this was exceptional. The trip was well planned and everything went remarkably smooth. Upon reflection, I would have liked to go to fewer places but had a longer time in the places we went. However, the trip was as advertised and everything was great. "After a depressing (but necessary) stop at Mauthausen Concentration camp, and then learning about how complicit Austria was with the Nazis, my wow moment came when I learned about the 05 graffiti that is protected on St. Stephan's Cathedral. It's meaning: Resistance to tyranny is obedience to God. It was a sign of hope to end the trip on. Other than that, the Swiss Alps were incredible and the "honesty stores" were very encouraging." Great. Just would like more time at the Open Air Museum. Only had time with the local guide. Overall the trip was great. Had a great time. "My favorite experience was the "Third Man Museum" in Vienna. It's a small, but AMAZING repository of info about Vienna during and after WW 2. It contains so much more than info about the Third Man movie. The local guide was also the founder of the museum...truly a one-man project. It will be of great interest to all history buffs. I wish I could have spent an entire day there!" We enjoyed every minute of this tour from start to finish! Everything was well organized with a variety of experiences in both large cities and small towns. We appreciated the balance between outdoor experiences and city experiences such as museums, castles, and cathedrals. We traveled with a great group of people who got along so well. "Our time in the Swiss Alps was an amazing experience! We were fortunate to have clear blue skies which gave us incredible views of the Alps and the green valleys below. One of our "wow" moments was paragliding from Murren to the Lauterbrunnen Valley below (even though this was not part of the RS tour). We also enjoyed the musical experiences of the Swiss alp horn player, the concert at the Mirabell Palace in Salzburg, and the zither player who entertained us at our last group dinner in Vienna." We were totally exhausted with so much beauty, history, nature, exercise, and discovery at the end in Vienna. Our greatest discovery was Vienna. Looking forward to a return to spend days there--so much to see and do; I did not realize what a wonderful city it is. The Swiss adventures were phenomenal. The magic of a Rick Steve's tour is hard to convey to my friends--they look for comfort, we seek adventure and discovery and don't mind being our own porters. Fabulous trip! "It's very difficult to pick just one "wow" moment on a Rick Steve's tour--there are so many every tour. The most enjoyable activity as the hike from Mannlichen to Kleine Scheidegg. The music of the cowbells and the incredible beauty of a picture perfect, sunny day in the Alps cannot be topped. The Salt Mine Museum in Hallstatt was a total surprise. Never knew about that aspect of history= "wow!"" I always wanted to go to Germany to see what it was like after two world wars,go to Switzerland to see the Alps and return after 45 years to Austria.This trip met all those needs.The group was fun, our guide, Donald, outstanding, our bus driver, Will, was excellent, trying new foods was quite the experience, the beer cold, the wine a wonderful surprise, and the scenery gorgeous. "The days in Switzerland were extraordinary.We were blessed with clear sunny sky each day which is rare.Riding up to the Schilthorn was scary as I have a fear of heights but nothing was going to stop me.The view was beautiful.The next day hike to Kleine-Scheidegg was the best as the entire group opted in on our 'free' day.Nice walk and the scenery was better.Up close to the Alps was magical.I wanted to ride the cog railroad and my dream was complete when we rode it to Lauterbrunn." Overall the experience was outstanding. We were celebrating our 50th Wedding Anniversary while on the trip spending the day/night in Obertraun, Austria (Lake Hallstatt). Our guide, Donald, arranged a Champagne toast and sparklers on our dessert. Donald and a great group of fellow travelers made this anniversary extra special. "Three glories days in Mürren, in the Swiss Alps. The weather was clear and the mountains beautiful." They guide was excellent. Tour stops were great, although I would suggest that Rick Steve's Tours move away (a little) from the "heavier" tourist locations[INVALID]-i.e. where cruise boat crowd flocks to. Seems that our group enjoyed the places less traveled (generally). "The alps. I wish that we had had another 2 days to visit/hike the Matterhorn area." Andrea was excellent as our tour guide and Yost was an outstanding driver. Logistics were flawless. Hotels were super with great locations. Andrea made it so much more interesting with her passion, city backgrounds and relevant history narratives. Overall the tour was excellent as always! It did seem like it took forever to get from Frankfurt to Trier on the train. I made it just fine though. Accommodations were great and Andrea was an awesome guide. "Experiencing everything the Alps had to offer was my "wow" moment! The views literally took my breath away!" "My favorite "wow" moment is hard to isolate. I'd have to say that the Alps in Switzerland and in Lake Hallstatt were gorgeous and amazing. Unfortunately, I didn't feel well in Switzerland, because of the elevation, bringing my heavy luggage up a steep hill to our hotel, and due to the hilly roads. Switzerland had been the main reason I went on this tour, so I was disappointed that I had such a tough time there." WOW! With the exception of Baden-Baden, I wouldn't change a thing. The history lessons, scenery, food, cities, tour guide, driver and fellow tourists were all fabulous! The hotel in Baden-Baden could not have been better. The walking tour was up to Rick Steves standards, but, since I am not a shopper, spa person or gambler, there was little left for me to do there. "The mountains! I have always wanted to hike in the Alps and my wish finally came true! What more could I ask for !!!" The most difficult and unnerving part of the whole trip was trying to find the right train station in the Frankfurt Airport. Never buy tickets from DB online, they will probably not be for the correct station. Rick's pretravel info arrived too late to save us from this mistake. This set a bad tone for the first long travel day and made for a lot of really unnecessary steps on our way to Trier. This is not my first trip abroad, but it sure felt like it. The rest of the tour was great!!!! "Murren and Wengen were the top visual stunners. The Lauterbrunnen valley left me without words for its complex beauty. Hallstatt is a close second. Vienna was the perfect way to rap up the mostly perfect two weeks. The world needs more Zither players. We should have stayed longer though, our falt." My third tour food was just ok. Guides where great Andrea did a great job! "Salsburg was behind my expactation"
This was our first RS tour and it was perfect. The tour group size, locations, hotels, sights, guides were all outstanding. We will definitely tour again with RS. "The Swiss Alps were beautiful! We loved Murren and hiking in the Alps. Fortunately the weather was perfect!" First of all, our tour was blessed with exceptional weather, which allowed us to take maximum advantage and enjoyment of our time in the Alps. That said, the time in Murren and Hallstatt was magical, and the cities were interesting and educational. We enjoyed the local guides and the context and history they provided. Our Rick Steves's guide was amazing (she was always passing out local chocolate on the bus!) and did a great job of taking care of us. "It was either the view of Lake Hallstatt from the deck of our hotel, or hiking near Murren with the Swiss cow bells ringing from the herds in the high country. Also being the the Hofbrau in Munich was special and the Mozart dinner concert in Salzburg was a highlight (just make sure you inquire about the price of the wine the server suggests!)." We had a wonderful time on this tour! We experienced 3 different countries and learned a lot. The tour was an excellent balance of learning, fun and free time. Our guide, Andrea was absolutely the best. She shared a wealth of knowledge and was always very helpful. If you want to make this tour perfect, I suggest 2 nights in Hallstatt instead of one. "Hiking in the Swiss Alps I heard this melody in the background, very Zen like and sounding like wind chimes. It was a group of cows with all of their cowbells ringing at once. They provided the music to accompany our hike!" This was my 5th Rick Steves tour, after 5 tours my expectations are rather high, and once again they were met and exceeded. What an incredible journey through the history, culture, cuisine and plain old everyday life. Well done itinerary and one of the best guides on your staff, she was amazing in so many ways. It never ceases to amaze me of the talent you find to keep you vision alive and these vacations wonderful memories for many years to come, well done. We had a fabulous time and were so lucky with wonderful weather every day. Our tour guide, local guides and bus driver were all outstanding. Our group was fun and friendly. It was a very memorable trip and we learned so much. It was the right combination of cities and beautiful scenery. We look forward to our next Rick Steve's tour. "The Swiss Alps were breathtaking, even more beautiful than I expected, and we had plenty of free time there for hiking." What a great tour. We enjoyed it all from the baths at Baden Baden to hiking in the Swiss Alps to listening to the Vienna Boys Choir on our anniversary. I have a little difficulty sitting on a long bus ride or standing during tours, but we made it all work. There was a good balance between educational tours and physical activities. To be honest I enjoy the physical activities and nature viewing the best. I was astounded at the beauty of Austria and Switzerland. "I was wowed on a great hike that we took with one other couple to view the other side of the Eiger. The views of the mountains and valleys were breathtaking. I also loved the Sound of Music bike tour. Having the Mozart Opera singers and hall sing me Happy Birthday was definitely a wow moment as was listening to the Vienna Boys Choir on our anniversary. A more sobering moment was visiting a concentration camp which was quite impactful. I was also wowed with a beautiful sunrise in Hallstatt." This tour was everything that I expected it to be, and more. It had the perfect mix of guidance from skilled tour guides and free time to explore on our own. The local cuisine was sooo good, and we appreciated the "extras" that our guide threw in, like happy hours, free drinks at meals, and treats on the bus. The hotels had all the amenities that we needed and were well located within walking distance of many popular sites. We saw everything that we wanted to, but didn't felt rushed. "Switzerland!! We loved hiking around Murren. What gorgeous scenery, and quaint towns! Halstatt was also very scenic, but more crowded with tourists." "Mürren and Hallstadt. The weather was perfect in both locations. The views were breathtaking, the sounds charming, and the locals so sweet. I want to return to the Jungfrau region and spend at least a week!" The Germany, Switzerland, Austria tour was stunning. It surpased my expectations with regard to beauty and scope. I found it well planned and executed. Our tour guide, Maddy, was energetic, engaging and informative. We would tour with him again in a heartbeat. His second in command, Bea, was wonderful as well. They worked well together and made for a complete team. I also thought the tour was well balanced in terms of scheduled time and time on our own. "It's hard to choose which one, but our time in the Lauterbrunnen Valley, viewing the Trummelbach falls, or taking the cable car up to the Schtilthorn stand out as number 1. Comperable to that was Hallstatt." Great tour guides, bus driver, and compadres on the tour. We had informed local tour guides, great hotels, wonderful discussions. 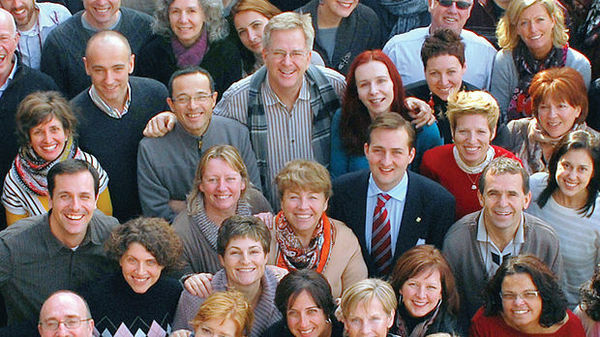 We will definitely do this again with Rick Steves. "The Swiss Alps. Walking into a mountain to see a river. Visiting Schilthorn and the James Bond Museum--that was different!" It was a great tour, we loved the variety of the places visited. This was my first trip to the European continent. My daughter and I have not traveled without our husbands and decided that the Germany, Switzerland, Austria Rick Steves tour was perfect for our overall goal of seeing a good deal of Central Europe fit the bill. Our tour group blended well and our guides were very good at giving us options for what we could do wth our free time. The cities we visited were filled with old world charm and abundant historical offerings. "Our first "want" was to see the Swiss Alps. While we were struck with the beauty of the Lauterbrunnen valley on our arrival it was shrouded in clouds and fog and remained so for the following day. On the third day upon awaking I opened the curtains to gaze out on a clear morning before the sun had even risen over the mountains to see the snow-capped peaks on the opposite side of the valley against the blue sky. I hurried out with my camera in the chilly air to take it all in!" As generally independent travelers, we were delightfully surprised with the "personality" of the Rick Steves Tour group. We found a good blend between group activities and independent time, with the ability to opt out of group time in order to choose a more personal interest. The fellow travelers were interesting, cooperative, and cohesive. "The smile on my face at the top of the Schilthorn says it all. It was such a thrill to wake up in the morning, glance out the window, and see the weather had cleared enough to allow our accent. Exploring for just a few hours, and sensing that you are a part of the Alps for those moments, was beyond expectation." "Sausages and beer in the tent garden outside of the casino in Baden Baden, sharing words & toasts with locals at the next table. The Shilthorn summit with a clearing sky with white fluffy clouds floating by, surrounded by rugged alpine terrain. The 70m slide in the bronze age salt-mine was unforgettable." I had a wonderful trip. With a trip covering 3 countries I saw a lot of the countryside and had great experiences in both the small and large cities. I learned so much about contemporary and past history, especially about the rebuilding of Europe after WWII. "My favorite wow moment was seeing the snow-covered Alps from the top of the Schilthorn on our one clear, sunny day in Switzerland. I had been to the Swiss Alps previously, but never had clear views like this!" We had a great time. This tour covered so much, we never would have been able to see it all on our own. So many places I want to go back and spend more time in. "Murren. Also going to the Friedrichsbad spa on what turned out to be a co-ed day. The salt mine tour in Halstatt." We have been using Rick Steve's travel guides & videos for years, but this was our first RST. The GAS tour exceeded our expectations. As independent style travelers, we were able to fully enjoy the group experience, as well as, maintain our sense of personal adventure. "Aside from the Schilthorn experience, I was "Wowed" by the optional Mozart Opera Dinner in Salzberg. The food and entertainment was excellent." Even though this tour was a highly active tour and we did encounter some rain, our guide, Rolinka, helped make the tour such a wonderful and fun experience. Also, even though I am not one who would normally enjoy going everywhere with a group of 28 people every day, our group was exceptionally kind for the most part. Even though we had rain, the only event we did not do was the luge ride, however, we added a Mozart dinner concert to our tour in Salzburg, the home of Mozart. EXCELLENT! "My "wow" moment would have been Murren, Switzerland, had I not already been there on another tour. So in second place was the boat ride on Lake Hallstatt. It felt like I was in a fairy tale. I wish we could have stayed there one more night." The tour was exactly as described in the tour book from where we were travelling to, to the experience we could expect. The hotels were centrally located which gave flexibility to explore more on your own. The orientation tour that was the first activity we did as a group was brilliant as it gave you insights into restaurants and experiences that could be done during free time. "Rick Steve's focus on getting to know the members of your tour group. Vacations are about making memories and the memories become more special when you can experience them with others. In the digital age, you can experience a destination by watching a video online, but you cannot experience the people online." The tour met all my expectations in terms of experiencing new places and sites, and learning some history that I did not know. All wonderful!!! Our tour guide, Rolinka, did an excellent job keeping things on track, explaining the plans, and helping the group more fully understand the history and uniqueness of the places we visited. I recommend this tour to any traveler. A "must do." "Although I've been to Murren two times before on Rick Steves tours, the Alps is always a wow moment for me. Such spectacular beauty!" The tour greatly exceeded my expectations! Everything about it was first class. Our tour guide, Rolinka, and our bus driver, John, were a fantastic combination that added a great deal to the overall experience. "Lake Hallstatt was absolutely amazing! So beautiful!" Never thought it was possible to have a tour guide as amazing as Rolinka. This trip was was interesting on paper but Rolinka brought it to life. We were also lucky enough to also have John our bus driver. John and Rolinka had such great chemistry they were able to make heavy traffic into a pleasant experience. When John left us to drive back home it was if your favorite relative was leaving. I came away from this trip with a new outlook on life thanks to Rolinka. "My "wow" moment was Murren!" Destinations of a tour often help us decide which to [INVALID]. We appreciated the varied destinations of the GAS tour: large cities, small villages, scenic locations, mountains, valleys, lakes, sobering concentration camp, and great group meal locations. An important variable to any tour is the quality of the guide. We had the best in Rolinka. She was the exemplary of the R.S. "backdoor philosophy." She used every opportunity to inform us in order to receive the most benefit from each experience. "Although I appreciate looking at 1000 year old structures, beautiful artwork, castles, etc., nothing compares to the natural wonders. I chose the GAS tour because of the 3 nights in Mürren. The forecast was dismal, but in morning the sun was shining! With joyful anticipation, we boarded the cable car(s) to take us to the top of the Shilthorn (9744 ft). What a glorious 360 degree sight! "WOW" And that afternoon, we were rewarded by more views as we hiked the Northface Trail." Everything I hoped it would be and more! Our group was fantastic and Rolinka was an exceptional guide for our two week tour through Germany, Switzerland and Austria. It didn't take long at all to feel like we were a family touring together and not just a group of strangers. As Rolinka said at our last evening together, the best souvenirs we take home with us are the wonderful memories of new friends and beautiful places we have discovered. Thanks for a perfect two week vacation! "My favorite "wow" moment was hiking the North Face trail in the Swiss Alps! Incredible views of the mountains and the feeling that you could almost reach out and touch them was awesome!" This was our first escorted tour to Europe. We chose this tour because it included Switzerland and the small group size. The entire experience was wonderful. Just what we wanted. "Standing at the top of the Schilthorn mountain on a beautiful sunny morning and soaking in the view of the Jungfrau, Eiger and Monch snow covered mountain peaks in the distance and the green valleys below. Definitely what I wanted to experience. The views from the cable car ride to the top were also stunning. And I had a chance to see the cows with their bells on and to hear them ringing as they walked when we hiked along the Lauterbrunnen valley to Murren. Best day ever!" We had the perfect balance between planned activities and free time. The local orientation tours of each city as we arrived was also a plus. This way we got an overview right away, knew what the planned activities were, and could therefore plan how to best spend our free time. Rolinka was a top notch tour guide. In most cases she was better than our local guide. She did a splendid job ensuring people mingled and got to know each other which added to the experience vs touring on our own. "Murren Switzerland - the forecast was questionable but sunrise brought such beauty. We got up just before the sky started to brighten and took pictures every few minutes. After breakfast we took the lift up to Schilthorn for breath-taking views of the surrounding mountains. Later we hiked through forests and meadows while enjoying time with our new friends. The entire day was spent doing one wonderful activity after another. You can sleep at home - enjoy every minute of your adventure!!!" It was a very awesome trip with an excellent tour guide and bus driver. "Going to the top of Schilthorn." I have been on several tours, but this one was special. It was a good mix of fun, education, and thought provoking moments. The sounds of the cities and countryside remain in my memory--church bells and cow bells, traffic, waterfalls, trains, and the silence of an alpine meadow. "Watching the sun come up behind Jungfrau"
This tour hit all my favorite sites. The accommodations were cozy and accessible. I especially enjoyed Switzerland and Vienna. There was a good balance with group activities and private time. Our tour guides were very organized and knowledgeable about history current events, etc. I look forward to my next Rick Steves tour. "Standing on a stump overlooking the Lauterbrunnen valley"
Fantastic. We very much enjoyed the trip in its entirety. A dose of history, meeting fellow travelers, enjoying local cuisine and beverages and visiting important historical sites with the informed knowledge of a guide was very helpful. We loved having a comfortable luxury coach with an attentive driver (Thanks Yoast). Iris and Karen were fantastic, too. Each of the local guides added an extra does of authenticity and knowledge to our journey. "There were many "wow" moments. One of the most unique and unexpected was visiting the open air museum, Vogtsbauernhof, in the Black Forest. It was a treat to see the spaciously and thoughtfully constructed buildings with thatched roofs and wooden nails. Our local guide, I don't know her name because I thought of her as Queen Elizabeth, was as knowledgeable as she was entertaining. The working water-powered mill was fascinating. Amazing this work of engineering from the 1600's still works." The tour was the perfect way to get introduced to Europe. It allowed me to learn and become comfortable with how things are done outside the US. Having all the logistics planned allowed for more time to enjoy the itinerary. "Switzerland was our favorite "wow" destination. So peaceful and beautiful." Sharon and I had a wonderful time with Iris, Karin and the other tour members. As usual on these tours, there was a lot of walking (70 miles, including airports on both ends), but that as okay, because we saw so many things that we might not have seen if we had put together our own itinerary. Iris was an excellent guide, and it was fun to experience her sense of humor. All in all, it was a great tour, and I am looking forward to the next one. "In Switzerland, we saw a spectacular rainbow from our hotel room deck...probably the most vivid double rainbow we have ever seen. This was our second time in Switzerland, and it is always spectacular." "Too many to choose just one. Mountains, waterfalls, churches, castles, rivers, vineyards, quaint villages, so many other interesting and unique things made the entire trip a great experience." Exceptional tour guides. Excellent itinerary for the mix of town and country. Trier is a nothing town but I understand we were there for the proximity to the Mosel River--restaurant had the prettiest picturesque outdoor lunch. I was most impressed by Driver Joost who was consistently best dressed and charming. I loved the tour overall but will have to add a caveat on the quality of hotels when recommending to friends. "Murren's location made the Swiss Alps most memorable. I don't think I would have enjoyed it as much if our hotel were located in the valley below. The Birg was more scenic and fun than the top of the Shilthorne. Had the best photo op with the wind blowing from beneath the grates of its lookout ledge. Lunch under the grand dome of the cafe at the Fine Arts Museum in Vienna was my perfect end of the tour." The itinerary was fantastic, great mix of big city, small city, little town. The scenery was everything we hoped for, and more. The guides were excellent, and showed their expertise and experience when they had to deal with some unexpected medical situations. Very comforting to know they know what to do, how to do it, and that the Rick Steves corporate office was supporting us from afar and was prepared for anything. "Standing in an alpine meadow in Switzerland, listening to the cowbells ringing as I looked out across miles of nothing but grass, flowers and fur trees toward the Jungfrau peaks." I appreciated that the guides were good natured, fun and helpful the whole trip. We saw so many places. Great places were: Murren, Munich, Salzburg, and Vienna. It was a little tough in the places we stayed only one night; Baden Baden and Lake Hallstatt. We arrived at both of these places after 2 pm and it seemed a rush to be out early the next morning. A few stops that weren't impressive were: Black Forest Open-Air Museum, Mondsee, and Baden Baden. "Riding the Gondala and looking out the hotel window at the massive Alps in Murren." This is from all in my family (me, Veronica and Anthony) From start to finish it was a new and exciting adventure every day. We can honestly say we would not change anything, the trip was everything we had hoped for and more! Our tour group members were all wonderful, the guides made it fun and they were very knowledgeable and we loved our bus driver John! "Had to be Murren, we were in Aw the whole time...it was absolutely breath-taking! But honestly, the whole trip was fantastic!" This is our first tour and it vastly exceeded our expectations. We knew and had read about the places we would visit, but our tour guides brought the cities to life and helped us make the most of our time and tailored our trip to our interests. Either in group form or individually, they shared parts of the cities and countryside that, if left on our own, would have gone unnoticed. We are extremely pleased with our experience and look forward to our next trip. "We had many "Wow" moments, however our favorite occurred in the Swiss Alps. After visiting the top of the Schilthorn, we returned to Murren and participated in an optional hike with our tour guide Hans. This hike took us up and around hills and pasturelands that provided picture postcard views in all directions. We were overwhelmed with the beauty of the mountains and the contrast of lush green pastures that were sparsely populated with the rock faced mountains. An unforgettable experience." What a fabulous holiday. Thanks to Holger, Hans and our driver John for taking care of us and making every day fun and interesting. It was great to meet such nice people who have the same interests as me, a love of travelling. Shout out to Hans for arranging my transportation for my personal pilgrimage to Stalag 7A outside of Munich. The itinerary was great, the accommodations were excellent and the scenery stunning. Where to go next year? So many choices! "Murren. I based my whole trip around the days in Murren and they didn't disappoint. The view from my balcony was awesome. The Thrill Walk was a thrill and the North Face Walk was THE BEST. Halstatt was also very beautiful"
The tour brought history to life, from ancient Roman gates to Charlemagne's palace to Mozart's birthplace through the World Wars of the 20th century. I found myself eagerly soaking up historical and cultural details that I had previously only memorized in college for tests. Although I had visited Europe twice before, even so, I had no context for world events preceding the birth of our country. This trip wove together national, musical, art, and literary history into a single thread. Amazing! "I loved hiking the trail through the mountain pastures in the Swiss Alps. The vibrant green meadows polka-dotted with wildflowers against the backdrop of towering snowy peaks and clear blue sky was breathtaking. Breathing the crisp, clean air in the most picturesque location of my life made me want to sing out loud. Creation demonstrated its majesty, and the experience moved my heart deeply." Well designed itinerary. Excellent tour companions. Exceptional tour guides. The Rick Steves tour enhanced my travel experience by providing the cultural and historical insights, and the unique "back door" experiences that would have been difficult to arrange on my own, i.e. the surprise concert with the alpenhorn and accordion players, the luge in the Black Forest, etc. "Paragliding in Murren (optional activity) was amazing, seeing the majestic Alps and picturesque Swiss valley from a bird's-eye view!" The Best of Germany, Austria and Switzerland Tour was my third Rick Steves' Tour, and it was excellent in every way. The itinerary was varied, entertaining, and educational. The tour guides were exceptional! It was a perfect balance of structured activities and free time. Plus the weather turned out to be gorgeous. "There were a lot of "wow" moments on the tour for me. If I were to pick one, it would be the whole experience of being in the Swiss Alps. Riding the gondolas up to our hotel, the spectacular picture perfect views of the mountains, the invigorating hikes through mountain meadows, the sounds of tinkling bells, roaring waterfalls, and alphorns, the tastes of delicious foods and drinks of the region, and eclipsing everything were the wonderful new people I met and with whom I shared all of it!" I had a wonderful time! I will never forget this trip, it was very special to me. When Hans took over the tour he lightened the mood with his Dutch stories and humour, he had everyone laughing within five minutes. Hans has a great outlook on life, and made everyone feel more relaxed. He was very knowledgeable about the areas we visited and a great story teller! "When we went hiking in the Alps!! It was picture perfect, so unbelievably beautiful!" It was our first time and we can't wait to go again. We loved how everything was done for us. We don't think we would have experienced all of what we did on our own. We had many special touches and extras with our tour as well. "Our "wow" moment on the tour is when we chose the Mozart dinner theater and Matty our guide put in some special seats up front. We ended being part of the opera in Salzburg. It was so exciting! My favorite parts of the trip were in the countryside like Murren, the Black Forest and Lake Hallstatt. I loved visiting the castles as well. Another wow moment on our free time is when we paraglided in Switzerland. That was definitely a highlight!" This was a very organized, active and interesting tour of three countries. It was a scenic journey that covered many miles of countryside and many years of history! The focus was on the royalty that reigned over the region for centuries and the impact of WWII. However, it also highlighted the beautiful mountains, valleys and lakes of this part of Europe. The guides did an excellent job of helping us understand all of these experiences during this intensive two week tour. "I feel that Switzerland was the highlight! The mountain scenery was spectacular! It was fun to be transported by a series of cablecars and to be able to hike with the wonderful snowcapped mountains as the backdrop. Lake Hallstatt was another place to enjoy. It was great "to chill out" after days of touring in this lovely setting. Munich was a fun city especially the English Garden with walking trails, wave river, shade trees, and a beer garden complete with pagoda and oompah band!" It was well planned, interesting ( I had no idea how much history I would learn), and lots of fun. The group was great and there was not one person who held us up or made the trip uncomfortable. Each city was an adventure and each event planned by the group leader was fun and exciting. I was especially happy that we had enough time to do things on our own and have the time to explore without the group. "The favorite wow moment had to be going up into Murren and being in the Alps. Our room happened to have a view of the Alps and every morning was a "Wow" moment for me. It also was lucky to have a full moon one of the nights we were there.....wow!" "Our WOW moments were our three days in Murren. We hiked in the alps two days with absolutely beautiful weather and views! Another WOW moment was our visit to Lake Hallstatt, the views and swimming were great!" Such a great experience, we loved everything about the tour, the guides were outstanding, the countries were so beautiful, rich in history and traditions. Our traveling group was fun to be with. The accommodations and meals were well planned and added to having a local experience. Wouldn't change anything. "So many moments, jaw dropping beauty of the Alps; stunning views in Hallstatt; Open and friendly people in the Munich beer gardens; Fortress Mozart concert in Salzburg to name a few." This is my second tour, last year I went alone to Belguim this year, I asked it to two of my friends to join me. It was their first tour. Overall, as usual it was comfortable, friendly and informational. "The swiss alps in Murren, the Ludwig castle." My wife and I are taking all of our 5 grandchildren on tours so as to culture a love for travel. For this trip we brought our grandchild #2 (a junior in high school) and his mother, our daughter. All of us had a wonderful time. Donald and Matty were very, very good and made the tour outstanding. "We loved all of the locations, but the Swiss Alps was probably the "Wow" moment." Amazing! Our tour guide, Tara, was fabulous and you could tell she really loved sharing historical insights into the places we visited intermixed with personal stories. Our great bus driver, fun city tour guides, friendly tour mates and scrumptious group meals, all made my my first Rick Steves tour a wonderful experience. It was a good mix of organized and free time with lots of surprises and treats along the way! "I can't list just one! Highlights include: ....Hiking in the Swiss alps, Trümmelbach Falls and a group of yodelers on the gondola descent from the Schilthorn. ....Hohensalzburg Fortress and the walk along the Monchsberg with lunch overlooking the city of Salzburg. ....The grandeur of Vienna and the intriguing 3rd Man Museum"
This was my second time on the GAS tour; I loved the parts that stayed the same and appreciated the thoughtful tweaks. I adored the quaintness of Baden-Baden, the cowbells and fondue in Switzerland, the manageability of Munich, the beauty of Salzburg, the tranquility of Hallstatt and the frivolity of Vienna. I appreciated climbing the Porta Negra in Trier, the faster, safer luge in the Black Forest, arriving at the hotel in Hallstatt via boat and the hotel in the city center in Salzburg. "Standing atop the glacier at the Jungfraujoch was pretty amazing. So was the walk from Mannlichen to Kleine Scheidegg, with our guide and tour buddies, taking photos of flowers and the view, exclaiming over both. The walking tour of Salzburg with Bergitta was one long wow--so much history in context! Not a wow, but strongly emotional, Mauthausen, as awful, memorable and necessary as the first time. Finally, looking out the hotel window in Vienna and seeing St. Stephen's "right there."" "The beauty and accessibility of the Berber Oberland area. It would have been a top bucket list location to visit, if we had been aware such an amazing place was in existence. Murres,Switzerland is know my go to happy place,in my meditation practice. The food in Vienna and Trier are some of the best meals of my life." "Our family had a few. Mine was the time in the Swiss alps. Amazing views, playing in the snow at Jungfraujoch, great food, great activities, etc. My wife's most enjoyable moment was the Mozart dinner and concert at Salzberg. The music and opera performance was very enjoyable, very intimate, well broken up with great food (and dessert!). Our two sons highlight was Munich. They really enjoyed the atmosphere, easily fitting into the town, and having amazing beer in beer gardens and the city." Tara was amazing in her knowledge of the areas we toured. Her preparation and attention to detail was excellent. Everyday there was time for free adventure as well as extremely well planned and implemented guided tours. In some cases the areas we traveled were places I had been before. The fact that new and interesting sights were discovered was an added plus. My wife and I have not stopped talking about, how much we enjoyed the trip. The Rick Steve's program is the only way to go. "The Alps was by far the biggest Wow. I have seen the Alps from a far at Lake Como. I have been around 14K peaks in Colorado. I live close to Yosemite Valley which did not prepare me for the shear majesty of these mountains. The faces are so shear. They are so new in geological years nothing has rounded or worn down. The hikes in the upper ranges with the wild flowers beyond description. The technology of the modes of transportation up and down the mountains was also very impressive." Everything about this tour went beyond my expectations. The bus, hotels, food, and sites were wonderful and amazing. I loved how active we were and not seeing the tour highlights from the window of a bus. I learned so much about the extensive history of these countries- the real history - not just what we're taught in school or read in books. It felt like getting the "back story" of the local regions and people. This tour was beyond Outstanding; is there a Stellar or Life Changing category? "There wasn't one but many, and all different. The history and historical sites were definitely Wow. The beauty of the German, Swiss, and Austrian countryside and their cities were awing. And the memories that came back to me from when I lived in Germany as a child of an Air Force serviceman in the early 60's was unexpected and emotional. Having Carlos as a guide and sharing the rich history of Germany - including playing a recording of JFK's speech at the Brandenburg Gate moved me to tears. Wow." This tour was one I will never forget. The members of the group were great and pleasurable, Carlos our tour guide was very informing and entertaining. He was the best tour guide I ever had. Jhost our bus driver was amazing and did not get frustrated on the road during traffic, even when people honked at him. Johnston was quit but a gentlemen. It was nice that Carlos gave us a snack on the bus when we were going to places to try the food that was common in that specific at that place. "One of my "wow" moment was when we went to a Mozart dinner in Salzburg. The food, the orchestra, and of course the singers were all amazing. Another wow moment was when we were driving through the hills and mountains, I felt like I was in a fairy tale, especially when we were visiting the castles and learning about the secrets behind them. I have so many wow moments that it would take forever to write them all down!" The tour was everything we expected and MORE! The itinerary was the perfect preview for the trip. "I enjoyed all of the excursions and appreciated the organization it took to see it all come to fruition without a hitch." When people ask me, "What was your favorite part of the tour?" or "Where was your favorite place to visit? ", I'm hard-pressed to find an answer because it was all great and it was all my "favorite" for different reasons. The tour really was the best of Germany, Austria and Switzerland! There really isn't anything I would change or do differently as far as where we went or what we saw. I do wish we could have had more time, but there really is never enough time to do/see everything. "As I mentioned, I am hard-pressed to pick a favorite. The textile-free spa in Baden-Baden was a "wow that's out of my comfort zone", but it was an awesome experience. It was my first time visiting Switzerland, so Murren might have been the biggest "wow"- especially because I'm usually not a fan of heights. I still can't believe I was able to do the "Thrill Walk"- but I did it! The scenery! Vienna was a "wow" because I couldn't believe how much it changed since my last visit- in 1989." We thoroughly enjoyed our tour to Germany, Austria and Switzerland. Our Tour guide Donald, made this tour a fabulous experience. "Terri's Wow moment was paragliding in Murren, Switzerland. Switzerland in General was her favorite. Her second, was Hallstatt Lake... She loved her room and balcony looking over the lake. Mine was Baden Baden, as I had family that were the original owners of The Brenners Park-Hotel & Spa and Maison Messmer Hotels. My Ancestor's have lived there since 1799. Standing in places my relatives were was incredible. I also found Switzerland stunning as well as Hallstatt Lake." Our trip was fantastic! Germany, Switzerland and Austria are beautiful, and we were able to enjoy the history and beauty of this part of Europe with all of the details taken care of. I enjoyed the variety of our destinations and pace of the days. We spent time in the larger cities of Munich and Vienna, the medium sized cities of Trier, Baden-Baden, and Salzburg, and the small towns of Murren and Hallstatt. We had time for hikes, bicycle rides, historical group tours, and aimless wandering. "My "wow" moment was hiking the North Face Trail above Murren, Switzerland. We hiked through cow pastures where we stopped every 30 feet or so and marveled at and photographed the views of the Alps with lush green hills in the forground. It was so perfect, it was hard to believe it was real." This was our second Rick Steves tour and it fully met our expectations.There was a nice mix of towns and cities with lots to see and do (and eat and drink) at each stop. "Arriving in the Alps and taking the gondola to Murren. We live in the desert southwest and being surrounded by snow covered mountains in July was entirely new and different. Having the gondola pass was great as we hiked downhill from Murren to Gimmelwald, found a beer garden, and then took the gondola back uphill." I would say that our experiences on our tour of Germany, Switzerland and Austria were wonderful. We had a very nice, companionable group of 28, what turned out to be a very well thought-out and organized itinerary, and a guide who did just a super job. Hans has a neat, joshing and a bit silly sense of humor, which worked very well for me and I thought with the group generally. Although Salzburg was very wet, we really had minimal difficulties of any kind. Thanks so much, Rick!! "For me, the organ recital we walked in to in Vienna (3 p.m. at St Peter's on the Sunday) was a wonderful surprise. It was free, since the organist was said to be "practicing," but several Bach, Mozart, Pachelbel and Mendelssohn pieces, all played beautifully, was a show-stopper for us, especially in the crazy-Baroque surroundings of the church. I can't go without mentioning a day-and-a-half's worth of hiking in the Alps was also unforgettable!" "Murren with its green hills leading up to glacier topped mountains and cow bells singing a symphony right outside our hotel. Also, the amount of European history we learned while on this tour was amazing." "There are so many to choose from that I can't even pick out one." This was our fourth Rick Steves tour. The previous three were outstanding, so I expected this one would be, too. It did not disappoint. The parts of Germany, Austria, and Switzerland that we toured had awe-inspiring scenery. There was lots to see and do. The tourists on this group were varied in age, and there were couples, families, and a solo traveler, but we mixed well together, and everyone had a great time. "All of Switzerland was "wow". If I had to choose one "wow" moment, it would be waking up the first morning in Mürren, stepping out on the balcony, and seeing a sky with not a cloud in it. I knew then that we would be seeing the high peaks of the Berner Oberland in all their glory when we went to the observation deck on the Schilthorn. In fact, from the observation deck, we could see Mont Blanc, the highest peak in Europe! Second would have to be the power of Trümmelbach Falls." This was our first Rick Steves' tour and we are so happy that we made that choice! Not a dull day the entire time - from Trier Day 1 through the last day in Vienna. We also experienced more beyond what was on the official tour, such as Mondsee's St. Michaels, Bavaria's Wieskirch and the Mozart concert in Salzburg. We're already planning next year's Rick Steves' tour! "Our experience in Murren was "wow" from the Valley view from our Hotel balcony and the view of the Eiger, Jungfrau and Mönch Peaks from the top of the Schilthorn, We also experienced amazing tranquil views on hikes both through the Lauterbrunnen Valley and on the higher trails. Just can't rave enough!" Great experience! The tour was the right mix of having structured activities and having free time to explore things on our own. I felt that we saw all of the important sites in all of the cities included in the tour plus we also got a good taste of the local customs. "Getting off the tram at Mt. Schilthorn on a clear day and being able to see for miles all around. The view was spectacular!" Germany, Switzerland and Austria tour looked perfect and we seemed to fit the "profile" his tours look for no grumps, flexibility, and able to sustain long days and lots of walking. The only thing we were unsure about was traveling in a group. Rolinka, our tour guide, took care of that by making us all feel comfortable. She was a wealth of information, well informed about every city we visited and a lot of laughs. We had a great group. "Impossible to list only one WOW moment. This tour visited many beautiful cities and we were fortunate with great westher. The Alps were beautiful, loved Baden-Baden and would have been great to have another night at the lake house in Obertraun across from Lake Hallstatt. So much history in Trier. Castles left you in awe." Amazing, best vacation ever! Loved our tour guide Rolinka! All our needs meet with transportation, lodging, food and what to see. "Many included Murren, Switzerland and Lake Hallstatt. We were able to rent kayaks one early morning on the lake. Weather in Switzerland was clear skies and sunshine!" Magical It was a fantastic trip. We had the FINEST guide and the BEST tour companions. A not-to-be missed trip to three beautiful countries with history, architecture, music and regional food. "SWITZERLAND! Pink-tipped snowy mountain tops at sunset, clear blue skies with endless views, the mountainsides blanketed with wildflowers, the tinkling sound of the cow bells...wonderful hikes, waterfalls and local music. A once-in-a-lifetime travel experience." We had a tremendous trip. I read the guide book, watched the videos, listened to the podcast, and thought I knew what to expect. The good news is I was still magically surprised! Our guide made sure we took the scenic views through the Black Forest instead of the freeways. The walking tours in each town made us feel at home to wander. "On a free afternoon in Murren Switzerland our guide said she was going for an unofficial hike and we were welcome to join her. While we would have hiked the mountains anyway, I think others hiked because she led. Frankly, it was breathtaking." This is not my first Rick Steves tour and I was intrigued to see if it could possibly measure up to my Tour of Italy trip. I'm sure that this is an often repeated statement and you frequently hear it. I have come to realize that Rick Steve for reasons known only to him and his inner circle are driven to improve on perfection. Even the guides make you think you are the best group they have had so far, (perhaps that is true) and we willing agree we are. "Murren Switzerland! Finally I'm the the land of "The Sound of Music" and it seems unreal. The land of sharp white mountains so close that you can almost reach out and touch them. Rushing white water, green steep meadows with bellowing cows with bells around their necks, farmers feeding them as I hike the trail over looking them. Is this real or it just a movie scene?" I cannot say enough about the organization, well planned side trips, and overall thought and preparation that went into making this trip one I will never forget. I really enjoyed our wonderful guide, who was gifted in giving us the perfect balance of history, interesting stories, and personal views, which made our trip that much more enjoyable. We were blessed with a wonderful group to travel with, and had amazing weather, as well. I cannot say enough about the beautiful places we saw. "My favorite moment was when the clouds cleared in the mountains in Switzerland, and a beautiful vertical rainbow appeared in the waterfall across the valley from our hotel. Really, every view from our village of Murren was breathtaking in its beauty." This was my 8th Rick Steves tour and, as usual it didn't disappoint. Everything was first rate and excellent. It was also a great bonding experience for me with my oldest Grandson. "The entire tour was a "WOW" moment but if I had to pick one it would have to be Trummelbach Falls in Switzerland, just awesome!!!" Great tour from start to finish. Rolinka was a great guide - knowledgeable, well organized, and FUN! The itinerary was a good mix of planned group activity and free time. Also a good mix of 'city' vs. 'country '. Jos was a great coach driver. "The entire trip was filled with wow moments - the charming squares everywhere, the view of Neuschwanstein from Mary's bridge, panorama of Salzburg from the fortress, Lake Hallstatt - but my favorite was Murren, Switzerland. The view from our balcony was a picture postcard, and the hiking trails were amazing! Hiking next to the cows in the Swiss Alps was a dream come true." "1. The sunset on our first night in Murren 2." We have been on eight tours and have been through a dozen countries with RS Tours. This trip was right up there with the best. The scenery in all three countries was spectacular, but Rolinka, our tour guide, made the trip special. She is so experienced that she makes leading a group of 26 people through Europe look easy. She is definitely one of your best guides, in league with Colin, our guide in Greece and Reid, our guide for Best of Italy. She made the trip unforgettable. "Had to be the beautiful sunset our first night in Murren. That would be followed closely by the two days of perfect weather in Switzerland and our hike on the North Face trail." Loved all of the sites and I never would have seen as many things on my own. It was a whirlwind and very active. I think I may have preferred the smaller towns to the larger cities. More time in Munich because there was so much to see. Also we had two pit spots during our drives that were awesome!!! A ride on the luge and lunch in Lichtenstein. "One of my favorite things was the Burg Eltz castle. That was the draw for this tour and particularly Rick Steeves. This tour was the only tour that offered that castle on the list of sites and the reason I registered. The other wow moment was the Mozart dinner...two opera singers and the string quartet along with dinner was a great value and incredible experience." It was wonderful. Daniela every day filled us with new knowledge of places we were to visit, and with her delightful good humor!! She shared treats with us by way of introducing us to local foods...to a big cherry cake in the Black Forest. She made extra exeriences...such as paragliding, a Mozart dinner concert in Saltzburg, and luge rides possible extra options. Also giving us extra countries by crossing over into Alsace and Leichtenstein. We rated her an A+ guide . "The pre-trip weather.com predictions were not encouraging ones. I certainly hoped to see the alps at their most beautiful, and we did. Our hotel room with its little balcony looked out at those three wonderful glistening white peaks against bright blue skies! !Then our wonderful hikes there in the Murren area. Murren was my "Wow" place, but the whole trip was definitely a "WOW"!! Daniela assured that this was so. We also had Wonderful city guides!!" The tour of Germany, Switzerland and Austria was fantastic. Our tour guide, Daniela, was excellent. "Beyond a shadow of doubt, my "wow" moment was paragliding in the Swiss Alps! Although never on my bucket list, the experience was exhilarating and a life-long memory." This was our third Rick Steves' tour. We loved the variety of experiences the tour provided. In addition to the scheduled itinerary, there were several wonderful surprises that we were not expecting...time in an additional country (Lichtenstein), as well as, opportunities to paraglide in the Alps and ride the Luge. All of our points of interest exceeded our family's expectations! We also highly valued suggested opportunities for our free time. Never a dull moment!! "My favorite "wow" moment was Paragliding in the Alps...beautiful, fun, exhilarating! Fulfillment of a Bucket List experience!!" The 14 day tour of Germany, .switzerland and Austria was fabulous! The locations visited, hotels, food, unique learning experiences, sights, sounds and new friends were all exceptional parts of the tour. There was a good variety of museum/city/castle/history/outdoor time. "The breathtaking views in the Swiss Alps were awe-inspiring and magical." I was very pleased overall with the content and organization of the tour. We chose early June to avoid the summer heat that is becoming more typical in Europe. However, it was still very warm with many days in the 80's. All the German hotels lacked air conditioning, and were also slow to cool down at night, so sleeping was difficult. The temperatures were fine in Switzerland and Lake Hallstatt, and the Vienna hotel had A/C, so we slept well in those locations. Otherwise, the hotels were fine. "The two full days that we spent in Switzerland. Our guide, Carlos, held us back for a day from going up the Schilthorn in order to wait for clearer weather with fewer clouds. It was a great call and the view of the mountains - Eiger, Monch, and Jungfrau - was spectacular!" "My favorite part of the tour was the Oberland valley in Switzerland. I could have stayed and hiked for another week. The food was much better than I had expected. The breakfast buffet we had in the hotels were very good. Europe has Some great coffee and pastries and ,of course, the beer was excellent." Every aspect of our tour was amazing! Our guide, Carlos, was outstanding and provided us with a rich history of each place we visited. Each location was beautiful and unique in its own way, and there was a good balance of group activities and free time. The local guides were also wonderful and did a great job of sharing their knowledge and love of each area. "There were so many "wow" moments on a daily basis, but the beauty of the Swiss Alps took my breath away. I especially enjoyed hearing the cows ringing their bells as we came face to face with them on the hiking paths around Murren." Great tour. Well planned and balanced itinerary. Never felt rushed or without sufficient free time to explore on our own. "Swiss Alps. Absolutely beautiful scenery far away from the crowds and hustle-bustle." I was very pleased with the tour, meeting or exceeding my expectations in almost all instances. The tour was certainly everything it was advertised as being. "There were quite a few "Wow" moments, but to narrow it down to one, I have to say, Murren, Switzerland and the fantastic views of the Lauterbrunnen Valley and Alps! Salzburg deserves honorable mention!" This was our first Rick Steve's tour but it won't be our last. We had such a good time on this trip. Our guide was fantastic. The other members of the group became like our extended family. It was really amazing just how well we all got along. Our guide Carlos through out the trip explained the history of all the places we were to see. Each stop provided not only structured tours but plenty of free time for everyone to explore on there own. "For me I loved Mürren and really all of Switzerland. Also loved The Hallstatt region in Austria." Hans was amazing. We've never taken a tour before and his careful consideration for the vibe of our group really was fantastic. "The walking tour between Murrin and a little town that started with an L. Lauderbrennen (sorry for butchering all the spellings). Hans love of nature and beauty was infectious and he could point out things that we would have missed. Stopping at the little cheese vending machine along the path was fun." Extremely well planned out tour and tour direction. Throughout the two weeks, it seemed that there was always something exciting happening in regards to scenery,destination and activities. Our guide did a extremely good job of posting the activities in advance and making sure we were all taken care of. Always plenty to do, looking back a few months now, my wife and I still find ourselves talking positively about the people we met and the experience we had. "Nature wow moment was Murren Countryside and dining out for lunch was along the Mosell Museum and walkabout was definitely in Vienna and the Third man exhibit. Basilica in Trier. Sobering wow moment was in Mauthausen"
Good pace, good range of places--urban, rural, roman, medieval. Hallstatt was disappointing, staying out of the city, and the city bein overrun during the day, while we were there. Roman Trier was amazing with Dorothea guiding. Third Man perspective of Vienna was enlightening. Short history of Munich was surprising. "Waking up in Murren with the Junfrau lit by the rising sun!" We had been on a Rick Steve's tour before (Italy) and had thoroughly enjoyed it. The bar had been set high from this tour, but our Germany, Switzerland and Austria tour exceeded the first one. The smaller group, the great locations we went to and our tour guide were a big part of this. We really enjoyed getting to know all the people on this trip! We really appreciated the amount of walking and activity that this tour provided. It is always good to come home and find we lost weight! "The beauty of the Swiss Alps was unbelievable. We had been to Zermatt on our own a couple of years ago and had two gorgeous days in October. The views in Murren exceeded what we experienced before. The alpine walk may have been the best day of our tour, although there were many great days." Hans is a great guide. His knowledge and insight was helpful and useful. Our group of 19 was great. Everyone was on time and focused. We did not have much wasted time. Murren was great! I'm glad we had a couple of days there. "Seeing the swiss alps from the balcony of our hotel in Murren"
This was my fifth Rick Steves tour.It included a few places I've already visited and many new ones. This was my first experience having two guides and I have to say that it was wonderful! Daniela and Matthias brought such wonderful enthusiasm and perspective to our tour. They each are fantastic guides, and we felt very fortunate to have both of them as a team. It was a perfect combination. "My favorite "wow" moment came as my husband, son, and I were walking along the river in the Lauterbrunnen Valley. I had one of those sublime experiences when you feel with a certainty that there is no place in the world you would rather be. The majesty and power of the valley is indescribable, and something everyone should experience." The GAS tour was well planned, educational, and fun! The sights we toured as a group were relative to the country's history and culture. Our guides were knowledgeable, personable, and beyond helpful. "The views of Murren and Lake Hallstatt were my "wow" moments." "Riding up to the top of the Shilthorn in Switzerland. The view in the early morning was breathtaking." We had a wonderful time. Our guide Daniela was excellent, our fellow tour members were very personable, and the weather was great. This was our second Rick Steves tour and it definitely won't be our last. "One was the incredible view of the Swiss Alps from our hotel room in Murren. The other was returning to the Hofbrau House in Munich 50 years after my last visit." The tour was amazing! All the cities were great choices for the tour (although Lichtenstein was sort of blah). The cities were all different in architecture, ambience, culture, and sights. I also like the fact that we were not overwhelmed with museum tours. We liked all of our hotel rooms; the combination of culturally relevant rooms mixed with cleanliness were ideal. We also loved a few of the extravagant rooms thrown in the mix. We enjoyed all the restaurants too. "The alps in Switzerland were the peak of the tour. We felt blessed that the weather was excellent and as a result the views were spectacular. We felt we were definitely closer God." Daniela was a terrific tour guide, she had great knowledge of the area and we loved her spirit and enthusiasim on all parts of our tour! Matty was a great addition to our tour, we were lucky to have two guides that shared their personal stories and insight of the countryside. "The Swiss Alps were on our bucket list of places to see and they did not disappoint!" My overall experience was absolutely amazing! Our guide, Daniela was so knowledgeable, kind and funny. Our drives were never too long and we always had enough time to take in the sights and culture. "I believe my favorite "wow" moment would have to be our 3 nights in Murren,Switzerland. The beauty of the land and overall atmosphere of it was hard to top! The Trummelbach Falls were also exceptional." Well organized, amazing destinations, outstanding tour guides and driver. Continue to enjoy the perspective of local guides. "Stepping out of the gondola in Murren Switzerland and viewing the wildflowers and snow covered mountains en route to our hotel." We had a great time and feel like we got to see a lot. This was our first trip to Europe so we didn't know what to expect. It is absolutely beautiful and Daniela gave us a great tour with lots of history and local experiences and she eased any fears we had of traveling in Europe. "It was all so beautiful everywhere we went. Lake Hallstatt was wonderful but I think Switzerland was my favorite. We loved the location of our hotel in Murren right in the Alps, so pretty and the food was really good." "Everything nature! From the lakes, to the alps, to the hikes... all was breathtaking and totally sights to behold. Each location had it's unique beauty and "wow" factor." I have been to Europe many times, always using Rick Steves guidebooks. This was my first Rick Steves tour. It was fantastic. The main reason we had such a special two weeks was our guide, Rolinka. Her knowledge, enthusiasm, attention to details and kindness were fabulous. We had lunches under the trees between cities, she was making alternative planning when we learned there was a potential problem at a castle, she had refreshments available after visiting the concentration camp. "the Mozart dinner and concert." We had a great time. The group was excellent, itinerary and places visited all really interesting and beautiful, travel days well-paced, local guides excellent and Rolinka, our main guide, was outstanding. This tour exceeded our already high expectations for it. "There were a number - walking through the wildflowers in the Lauterbrunnen Valley, hiking the North Face trail with Rolinka, the somber Mauthausen Camp, the surprising town of Trier and it's fascinating history and ruins, the Mozart Dinner Concert in Salzburg, our rolicking tram ride home on the last evening of the tour." Our tour was a delight from start to finish. We had a great group, and Rolinka Bloeming was a force of nature. All arrangements went off without a hitch. On several occasions, Rolinka took extraordiary measures to make our experience just a little bit better. Once our bus was stopped in traffic trying to make our way a parking lot at a castle. Rolinka jumped out of the bus and stopped traffic in the other direction so that our bus could get through. "Our stay in Murren, Switzerland was especially nice. We had the opportunity to go paragliding at a short walk from our hotel. The next day, our great guide Rolinka took several of us on a hike over the North Face trail. There were wildflowers, cows, streams, spectacular views, and a great group of companions. I also loved the evening walk that Rolinka took us on after a group dinner in Salzburg. It was a magical, warm evening with a big moon. Thanks, Rolinka!" Excellent tour with so many varied destinations and cultures. Highly recommend to anyone that can physically travel unassisted. "Found the entire tour a wow moment." The tour was everything I expected and more. Our tour guide (Rolinka) was the best! She was attentive to our needs and added a special touch to many parts of the tour creating unforgettable experiences! "I would have to say the view from out room at Lake Hallstatt. Early morning coffee on the balcony of our room overlooking the lake was a once in a lifetime experience!" This was the best vacation I have ever been on. I was able to hit so many must-sees on this tour, and have a wide variety of experiences. I was able to go to world class museums and go to small but terrific family run restaurants. I was able to enjoy the outdoors through hiking and long walks and luxuriate in the spas of Baden Baden. This tour had a little bit of everything, a tapas tour of experiences, and I was so glad to have attended. "Our experience in Murren was top notch. We were able to experience the amazing views on a hike both through the Lauterbrunnen Valley and on the higher trails. Switzerland was one of the most amazing places I have ever been and I am excited to visit again. Also, our time in Hallstatt was breathtaking. Our hotel was right on the water and the town was wonderful to walk through. I cannot believe how beautiful it was. Well worth the trip!" Best Vacation Ever! We have been living in Europe for two years and have been on dozens of trips, but we never got as much done and as much seen in so little time than on this tour. "The views in Murren and Halstatt. Paragliding in the first and just relaxing with a bottle of wine at the second." My overall tour experience is VERY, VERY, GOOD!!! The people who represent you, Rolinka and the Bus Driver--Will--were quite professional, and, a pleasure to engage/ Penne and I chose you all because of RICK, but, Rick is smart enough to have first rate people--like Rolinka and Will--who, enjoyed each others company. WHAT I DID NOT LIKE. I do not like investing HOURS OF TRAVEL TIME and staying one night in a location. I absolutely would not put time and effort to get to Hallstatt. "As far as a WOW goes, I would have to say the Vienna Opera Dinner that Rolinka arranged, It was special for Penne and I, and, we dressed up for the occasion. That, was a WOW." Our tour exceeded my expectations. Our tour guide was very professional, friendly and knowledgable about the areas in Germany, Austria & Switzerland. I especially enjoyed spending time with our travel companions and then also having free time to spend on your own each day. The accomodations were comfortable, but very different than most American hotels/motels. Travelers should be ready for noise, no A/C and light in the room from early til quite late. "My favorite moment was hiking the trails in Switzerland, hearing the babbling brooks, seeing the cows that looks like pets in a field of wildflowers and listening to the music their bells made as they ate. It could not have been more idyllic." The tour was great. Rolinka, our guide, was outstanding and engaged. She interacted with the group well. Managed some issues well and helped the group have a great time. The group was a great group to travel with. Always on time and always in good spirits. The weather was great, which is particularly important in Murren. This tour has an good combination of the Alps, history and important cities. "I had 2 favorite WOW moments. As could be expected, its was the majesty of the Alps in Murren. The second was the serenity of the lake in Hallstat. Both were postcard worthy." Our overall tour experience was very well thought out, planned and [INVALID]d. This was our first tour with a Rick Steve's tour group, with any tour group. It was our second trip to Europe, the first two years ago to Italy on our own, using the Rick Steve's Italy Tour Book as our guide for planning. As for comparing the two trips, on our own vs. a group tour, the group tour was much easier, more relaxing, more informative and yet allowed ample time on our own. "While it's hard to pick one "wow" moment from our tour, because we are nature lovers and re-charge in country settings over the hustle and bustle of the cities, staying in Murren, surrounded by the majesty of the Swiss Alps is at the top. The hiking, the views and thrills nature provides there are spectacular. Sleeping with the windows open in that cool mountain air was a welcome bonus. Lake Hallstatt comes in second with the peaceful tranquility the lake offers." Time flies when you are having fun, and this tour went very quickly. We were able to experience 3 different countries including their culture, food, and history. Each stop location had something unique to offer. This was our first Rick Steve's tour but it is hard to imagine anyone doing a better job as a tour guide than what Rolinka did for us. She went out of her way to make the tour a success. "The serenity of Lake Halstatt was really amazing. The Swiss Alps and our mountain hikes provided some breathtaking views." It was a great experience all around. Would have liked better weather in some places, but that is not Rick Steve's fault. I was concerned about the hotels as to me they kindred of sounded liked "roughing it" but they were nothing of the sort! All VERY nice accommodations with a great European feel to them. The tours were organized and efficient. Our guide Andrea was awesome. "Switzerland. The quaintness of Murren and the whole valley was like out of a storybook"
It was our 3rd tour with Rick Steves. We had a wonderful time; the hotels were in the middle of the action with beautiful views around us everywhere. Wish for more time in Hallstatt, the Lake District and maybe a bus with Wi-Fi for the long trips. Other than that it was everything we expected and more! I will give the tour 5 Stars. "Our "wow" moments were beautiful Lake Hallstatt, preceded by Murren with front views of the Jungfrau and riding the goldolas. Then the visit to Mad" King Ludwig: Neuschwanstein Castle." Very positive. I learned a lot of history I did not know. The places we went were historically interesting and made us of think of how history shapes today. A very fine tour, with generally excellent guides and a nice combination of pastoral and city experiences. Learned so much history on this trip, developing a fuller undestanding of many facts which I had previously only understood piecemeal, without a comprehensive context. Andrea was an excellent guide -- engaging and informative. Our fellow travelers were wonderful --- very friendly and inquisitive; no complainers and everyone was on time. "Hard to pick one, but I would have to say seeing the dramatic glacier- carved vertical cliffs on our approach to Murren." Wonderful guide, local guides, hotels, food and travelling companions! This tour had a great mix of large and small towns, nature and history. Trier was fantastic, Switzerland beautiful, Munich a favorite of mine, and Salzburg amazing!Hallstatt has a lot of Celtic History to offer in its' museum and Salt Mine Tour! !Such a beautiful and relaxing place. "Having Trier's Cathedral to ourselves at 6:30 am;trying cherry schnapps and schwartzwaldkirschtorte in the Black Forest; the beauty of night photography; hiking and eating cheese fondue in the Swiss Alps; spending 4 hours in the Residenz of Munich;concert at the Mirabelle Palace in Salzburg; Hallstatt's Salt Mine Tour; having my mother-in-law turn to me after going down the miner's slide in the Salt Mine and say with joy on her face 'you guys have gotten me to do things I never thought I would!'" I thought the tour was great. Every place we visited was enjoyable and interesting. I thought Andrea did an excellent job in giving us the history of each place and the local tour guides we had in Trier, Munich, and Vienna were exciting and interesting because we learn not only the histories of the town but their thoughts on the towns and their history. The musical entertainment from the locals in Murren was outstanding and something I think everyone should see. "My favor moment of the tour was spending time in Murren and the Swiss Alps. It was so cool to wake up each morning and see the Alps out my window and seeing fresh snow on the Alps. I loved all the waterfalls in the valley during my hike from the gondola to Lauterbrunnen, the base jumpers were an added plus to see them come down and land." This was our first tour as well as our first Rick Steves Tour. It will not be our last Rick Steves Tour. It is hard to put into words just how wonderful this tour was. Our guide, Andrea, was knowledgeable and resourceful. She has great interpersonal skills and was a joy to travel with. The opportunity to meet and share time with great folks from all over the U.S. was a bonus. "For me it has to be Murren, Switzerland. We took the chance on a gondola ride to the Schilthorn on an overcast day. The sun gods were with us, we arrived with our "Buddies", to a peak shrouded in fog. Decided to share some time and conversation in the revolving restaurant and wait out the fog. We were not disappointed and benefitted from a 30 minute breathtakingly spectacular window of clearing. WOW!!!" This tour had the same great quality that I've come to expect from Rick Steves tours. Our guide Andrea was knowledgeable, friendly, fun to be around and sensitive to the needs of the group. The accommodations were wonderful. The food was great. The destinations were well chosen to provide a great peek into rural and urban and old and new locations. "There are too many to count. From a building erected in the time of Constantine and still in use, to sliding down a ramp in a salt mine, to watching the horses of the Spanish Riding School train in Vienna, to our hilarious Mozart Dinner Concert in Salzburg, the tour was one "wow" after another." The tour was thoughtfully planned with enough free time to add what we wanted to do. The hotels were wonderful, and our guide, Andrea, was well informed and funny. "I didn't have a single "wow" moment. There were so many." Trip was fantastic-loved it. We really appreciated how efficiently our time was managed, without feeling pressured or rushed, and the balance between group activities and free time seemed just right. Especially enjoyed the camaraderie that developed within our group, skillfully facilitated by our guide Andrea. "When the sun came out the morning we left Murren, so we could really see the place in its full glory, and the summer luge ride after Neuschwanstein castle - surprised by joy!" My fifth RS tour; this was the best. Best tour leader and co-leader (Torben and Iris). Best bus driver (Wim). Best group of fellow travelers. Nice blend of history, culture, and environment. Good balance of activities versus rest. Great "bus lectures" of history and current events. "Cable car rides in the Alps"
Wow! This was my second Rick Steves tour and I didn't think the first one could be topped, but it was. It was a perfect balance of time in the group and opportunities to explore more independently. Also a perfect balance of culture, history, museums and scenery. I think the advertising attracts people that are great travel companions. Our group was very diverse, but all were the kind of folks that you just want to hang around and enjoy a meal, a glass of wine or an adventure. "I loved the Swiss alps and staying in a hotel that required 2 gondola rides to reach." Superb! Everything that could go right did go right. We marvel at the obvious behind-the-scenes management and attention to detail by the Steves' organization overall and our guides in particular. Unexpected was the family-like experience of our particular group. We've become friends, exchanged email addresses, are sharing our photos electronically, and many of us are making plans for reciprocal visits. Commonality of interest, but also hugely due to Torben's style, drawing us all together. "We can't decide. Every day held new surprises. It was all wonderful. (First tour starry eyes maybe.)" Like our previous Rick Steves tour (Venice, Florence, Rome), the GAS trip was efficient, enjoyable, fun and educational. We were a little more tired this time, being older, but the amount of walking was still doable. Great guide, excellent driver, very good accommodations. Burg Eltz is a great tour, even drawing a so-so guide. Neuschwanstein is a lot of sizzle, not much steak. "The stay in Murren was a great experience. Several tour members said that if the itinerary worked, that would be a great way to end the trip. Beautiful scenery, gondola travel, quiet, Alp horn, fondue, Schilthorn. Years ago, I was in Salzburg and did the salt mine tour there - many levels to slide down. Doing the Hallstatt mine was a fun remembrance." This was my first tour and far exceeded expectations. The tour guides Torben and Iris, and our driver Wim, were all exceptional. The tour members were wonderful, inviting and great fun. "The tour abounded with wow moments; playing an alphorn, Trümmelbach Falls, Hofbräuhaus in Munich, salt mine tour in Hallstatt and many, many more." Well planned and organized tour. Great travel route showing interesting country sides, historic places, churches and overcrowded metropolitan cities. I guess one comes with the other. Travel has become extremely popular. "Emigrated from Germany age 26 and visited several times since, so my language skills were unimpaired. Talking to a German fellow at a market place about directions, I received a final comment from that person." For an American Tourist, you speak excellent German". I was left stunned"
One of the best tours that we have taken with Rick Steves' Tours. Wonderful combination of history, culture, food, cities, towns and landscapes. We had outstanding guides who set the tone from out first meeting and we think that this was our best tour group. What wonderful people! "Switzerland, the town of Murren with majestic mountains and fields just beginning to fill with alpine flowers was a "wow" moment. An alphorn-accordian concert, dancing in a conga line, Swiss fondue and chocolate were memorable. Pure Joy! Visiting Mauthausen reminded us of the Holocaust and our responsibility to not forget this tragedy." This was our first Rick Steves tour and we are so happy that we made the choice to go with Rick.The unexpected treats along the way; black forest cake, picnics by the lake, schnapps, chocolates and candy were a nice touch. The hotels, from a retirement home shared with locals in Trier, to a mountain top chalet in Obertraun, to the elegance in Vienna were all unique and memorable. We can't wait for next year to experience another Rick tour. "Every day was WOW!! Oom pah pah music and singing arm in arm at Munich beer hall with fellow tour members and locals was a blast. The coffee and Sacher cake with original recipe from the 1800's at the Sacher Hotel in Vienna can't be missed. But our absolute favourite was the hike from Murren to Grimmelwald where we experienced real life in a Swiss alpine village and the most exceptional scenery anywhere on earth." It was very diverse and interesting. I was new to Germany and Austria, and I found the information provided by our tour guide and the local guides to be helpful. This really enriched the visit. "Looking out our hotel room window at the view in Hallstatt. It is a jewel and was a nice interlude of beauty and quiet in the tour which had a lot of busy city time." My overall experience was excellent. I was impressed with the level of organization of the tour. My reason for not giving an "outstanding" is that the tour was a bit TOO ambitious, trying to do a bit too much. "The boat ride to the hotel in Hallstatt and hiking from Murren to Gimmelwald both were awesome." Tour was pretty much as advertised- charming hotels, good guides and a variety of experiences. It's very active in terms of being on the go from early in the morning until sometimes late in the evening. The physical requirements (which almost scared me off) were less demanding than anticipated. Good group of people on the tour, friendly, helpful, prompt. Tour guide was excellent! If you like a tour where someone else makes decisions about where to go and what to see, this is a good one. "The Alps were stunning. Sitting on the balcony in our hotel room in beautiful sunny weather and just taking in the view." My overall experience of the tour is that I loved it. "I really liked the Swiss mountain village of Murrin. Also, Hallstatt Austria was a beautiful place to visit." From beginning to end we had an amazing adventure. Everything was completely thought out and well planned. Our tour guide, Maisie, was an abundant wealth of knowledge, extremely personable and relatable, and always available to assist and guide us when we chose to venture out on our own. The intenerary was a good mixture of excercise and relaxation. The destinations were beautiful. Our bus driver was funny and personable as well. "My favorite wow moment was two fold: The Swiss Alps and Murren we're breathtaking and my pictures couldn't capture the full beauty. Secondly was Hallstatt Austria. Truly wish the tour spent two days in Hallstatt. Beautiful relaxing town and best hotel for sure. Both places are a photographer's dream." We had a wonderful trip. I was travelling with wife, daughter,son-in-law. This was my 5th Rick Steves and my daughters first. Amazing Maisse took care of our every need and question. Travel locations were good and we all wished we had more time to spend at just about all of them. We spent a lot of time on bus some days but the scenery was wonderful. Good group, guide, and bus driver. Deciding where to go next. "We had so many great moments but my most enjoyable day was walking along the trail on a hike led by Maisee through the Lauterbrunnen Valley and then the train ride back to Murren. Spectactular!" "Murren and the beauty of the mountains. We had clear skies the entire 3 days and kept busy with outdoor activities." this was our second tour with Rick Steves. we like traveling this way with no logistical issues. Also love the educational aspect of these tours. Our guide was very knowledgeable and we felt we learned and grew from our experience. Also enjoyed our fellow like minded travelers. a very easy group to be with. "I personally loved Murren in the swiss alps. loved the wildflowers and the 360 view of the mountains. Our special musical entertainment there was so fun. on another note, the visit to Mauthausen work camp was troubling but also significant. I have read extensively about WWII, but seeing the artifacts and reading about the people was very sobering, especially in today's political environment." This was my first time to Europe and it was amazing! I learned, saw, and experienced a lot. It was a trip full of firsts and lasts. "The Swiss Alps. Halstsatt Lake area. Salzburg area." The best of Germany Austria and Switzerland tour I experienced was fantastic. The intenerary was a good mixture of excercise and relaxation. The destinations were beautiful. The tour guide was outstanding. Andrea was very knowledgeable of Europe's history and culture. She was very accommodating and accessible. The bus driver was delightful. The dinners and breakfast's that were provided were good. Overall I am very pleased with the tour. "The castles were my favorite. I really enjoyed the hotel in Baden Baden. I would of liked to stay another day there." In case you wish to book pre- or post-tour hotel accommodations, the contact information for the tour's first and last hotels is included in your tour confirmation email, as well as in your online customer account. About one month prior to the tour departure, in your customer account you’ll find the directions to your first tour hotel and a complete list of hotels where we'll be staying while on tour. Our tours don’t include airfare, so your flight arrangements are completely up to you. Most tour members arrange to fly into Frankfurt am Main and out of Vienna ("multicity" on flight-booking websites). The Frankfurt airport is a 3 to 4-hour train ride from Trier where the tour begins. Booking round-trip to one city will require a connecting flight, train trip, or additional overnight stay in Europe. We suggest arriving a day or two before your tour begins to allow ample time to get over jet lag and be well-rested for the first few days of your tour. For more information about transportation options for getting to and from your tour, see your Rick Steves tour guidebook.